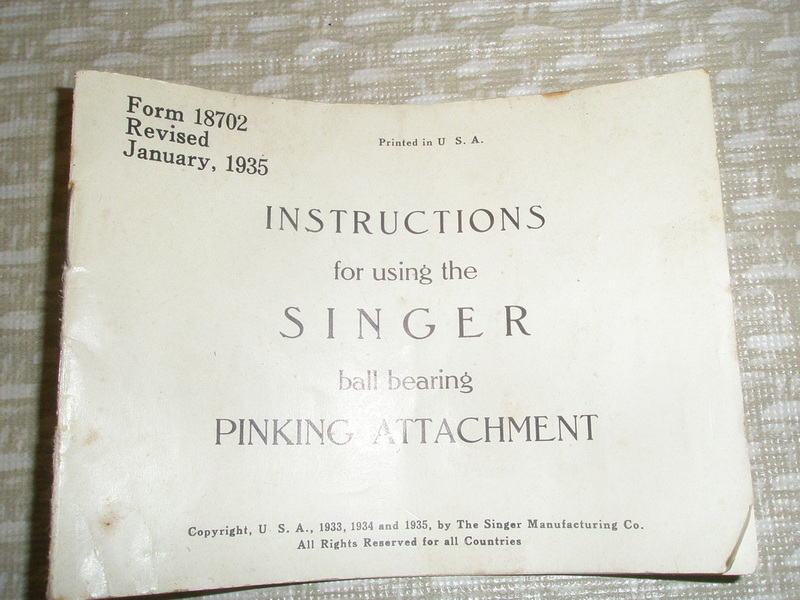 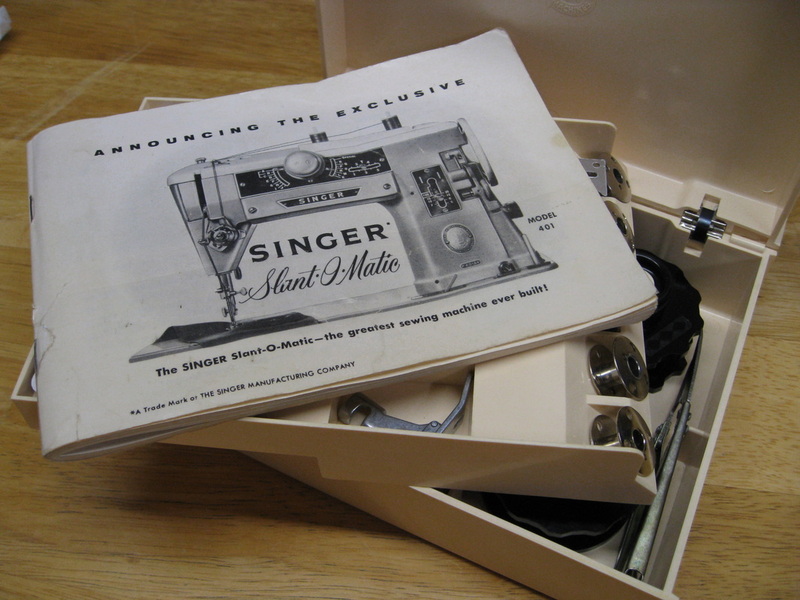 Notable attachments, accessories, and instruction manuals for vintage Singer machines through the decades. 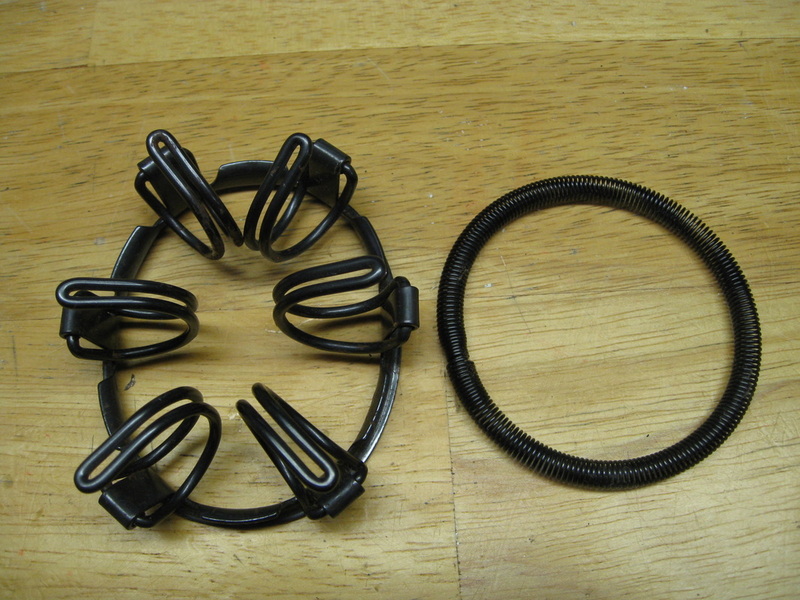 NOTE: Accessories shown are NOT for sale. 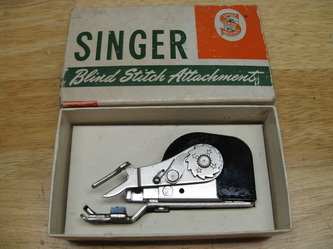 One of the earliest buttonholers. 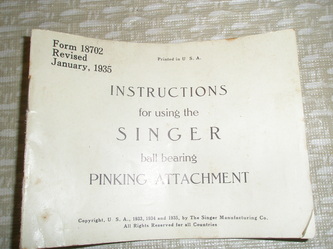 Manual is dated 1939-1946. 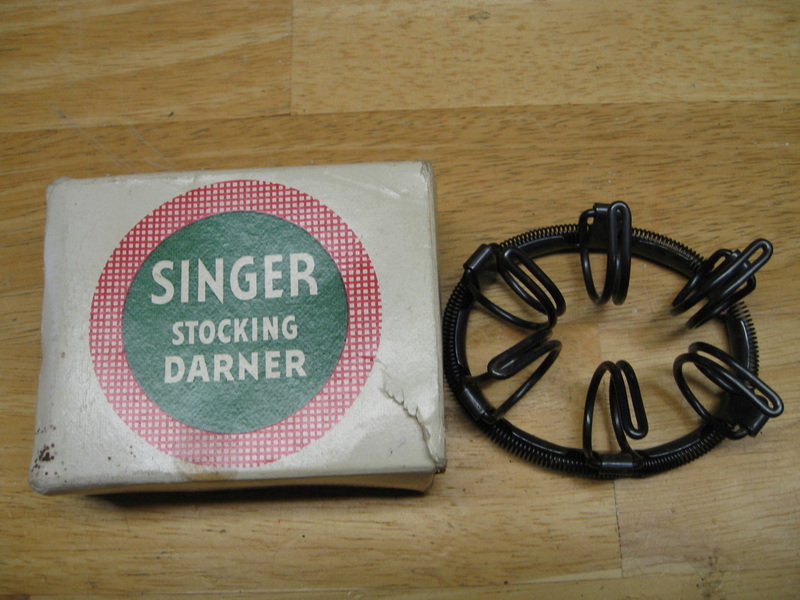 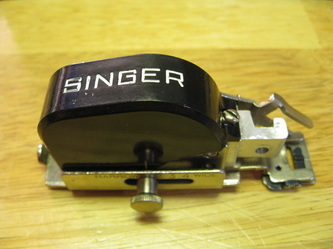 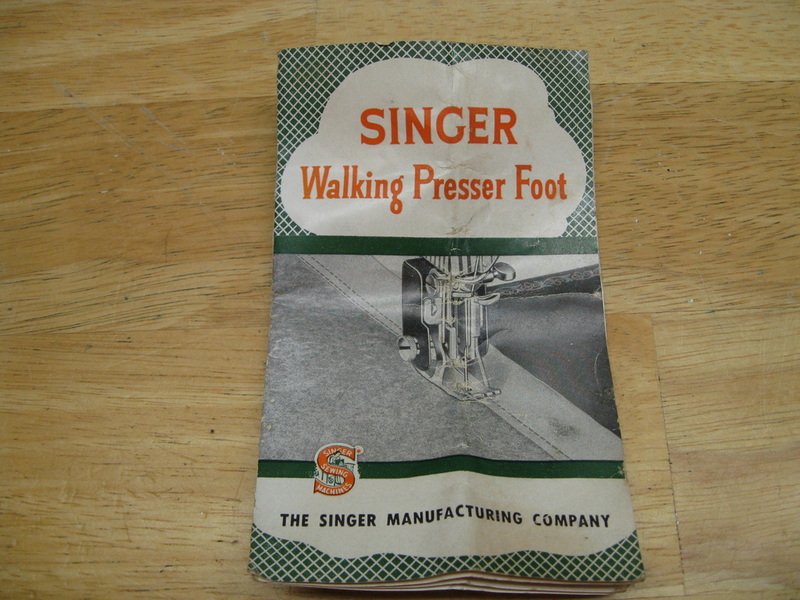 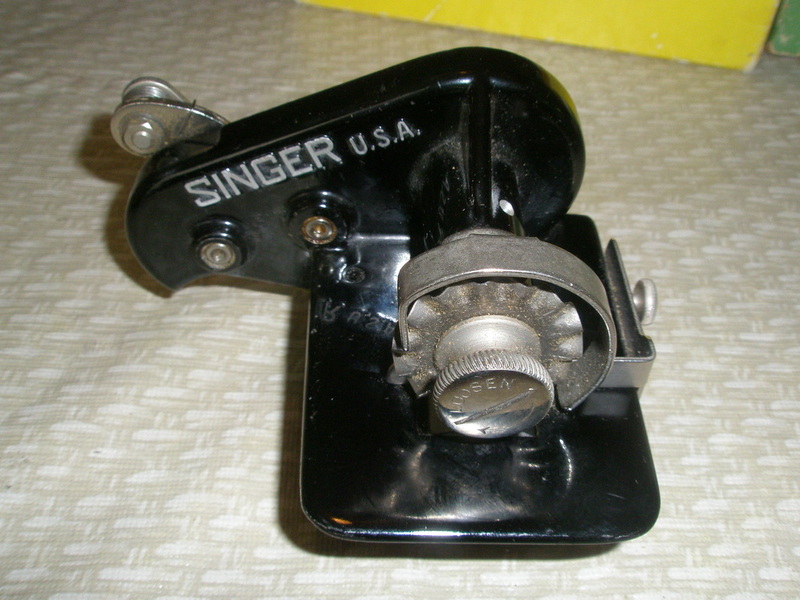 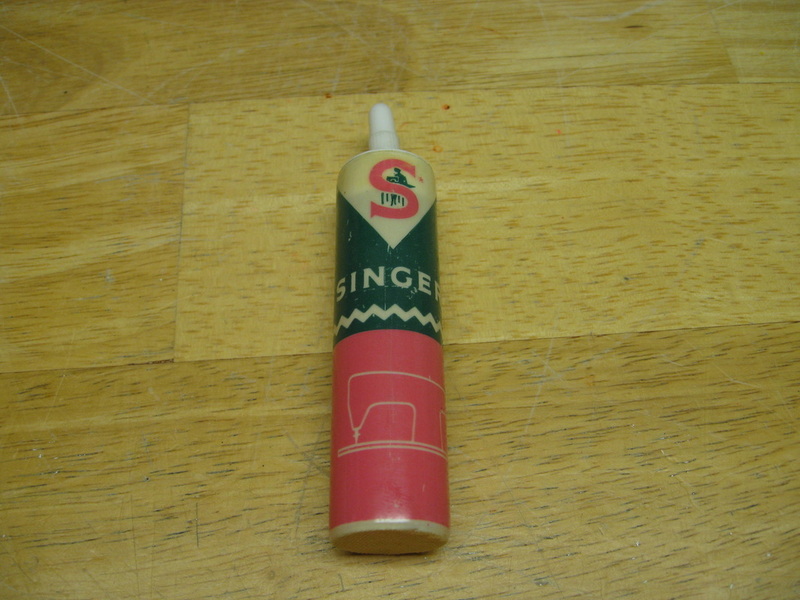 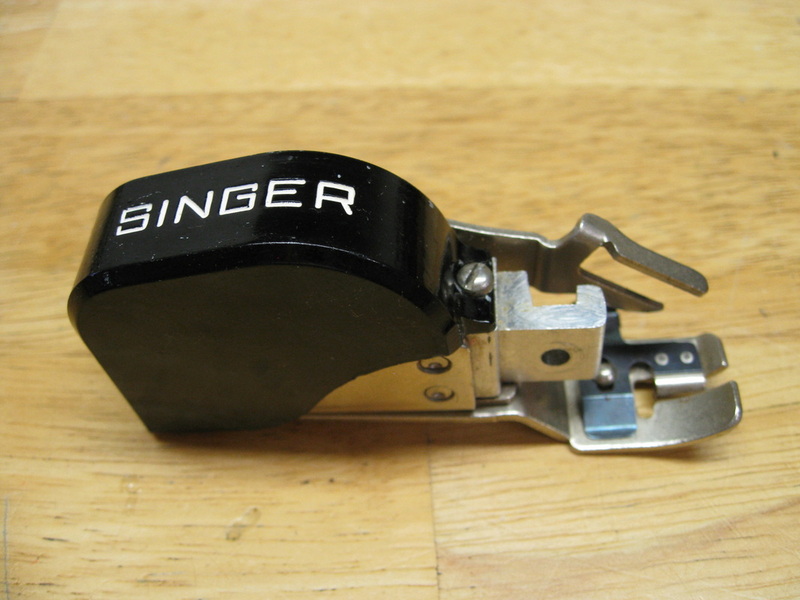 Singer part # 121795. 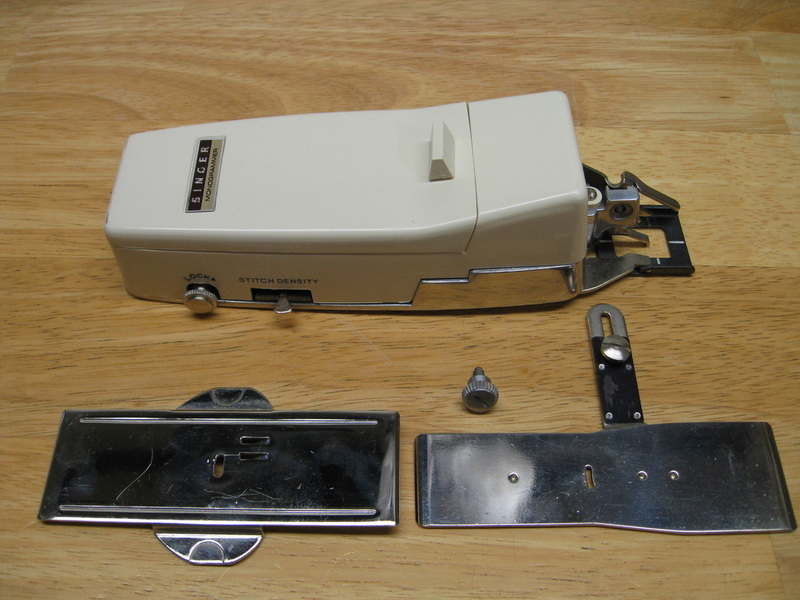 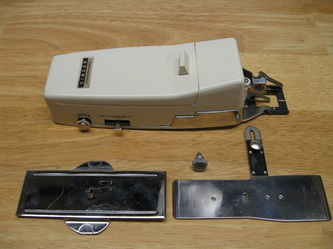 Template-based buttonholer for straight-stitch sewing machines. Straight and keyhole templates. 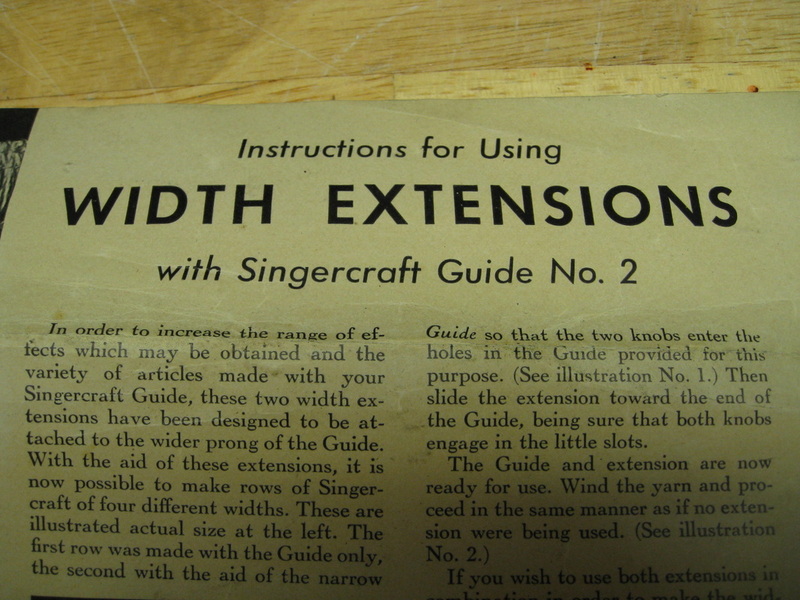 Manual dated 1948-1952. 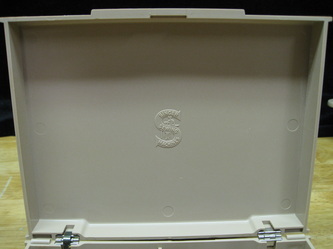 "Treasure Chest" style plastic case. 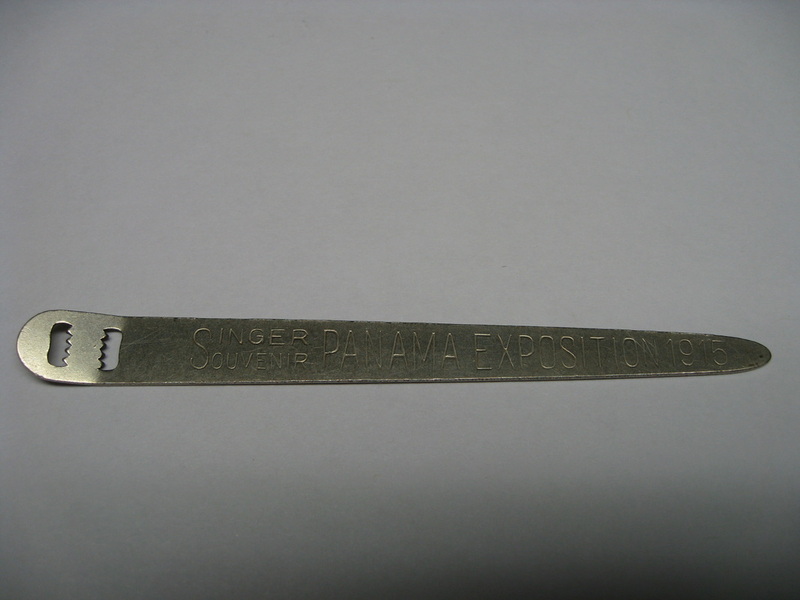 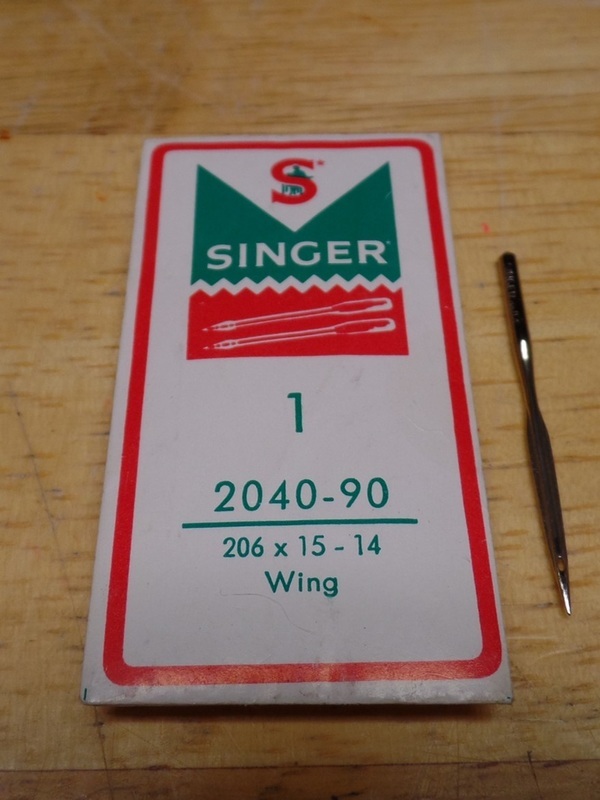 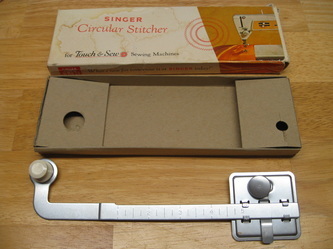 Green box: Low-shank vertical needle (Singer part # 160506) for 15, 201, 99, 221 Featherweight. 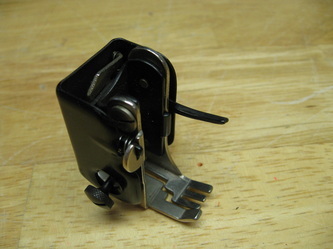 Black box: Low-shank vertical needle (Singer part # 160506). 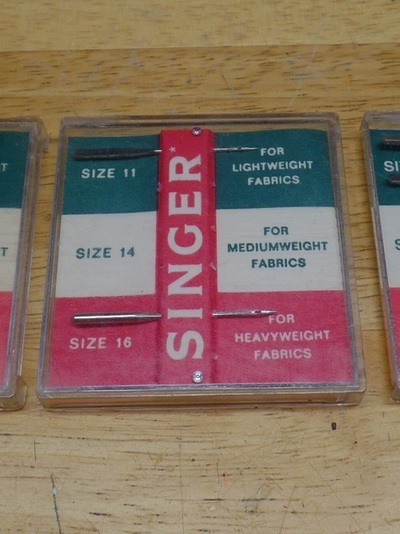 AKA "Featherweight" buttonholer. 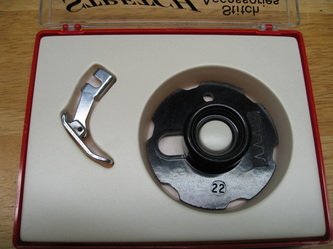 Bottom-load template buttonholer. 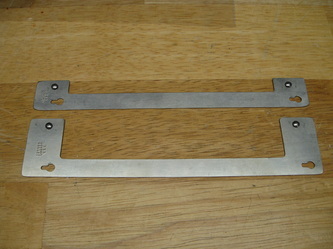 Straight and keyhole templates. Manual dated 1960. 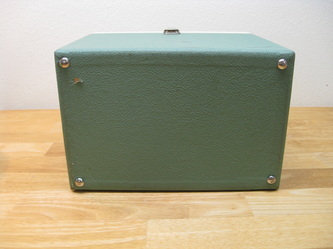 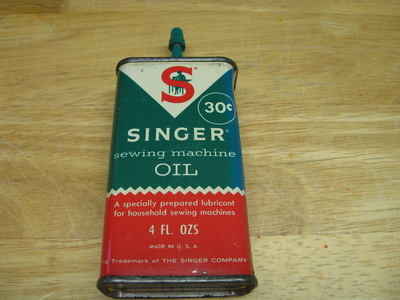 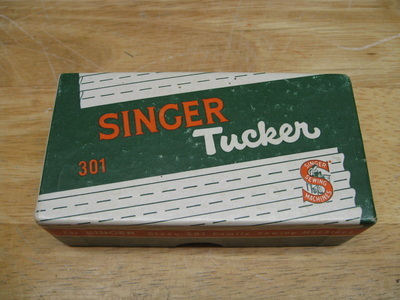 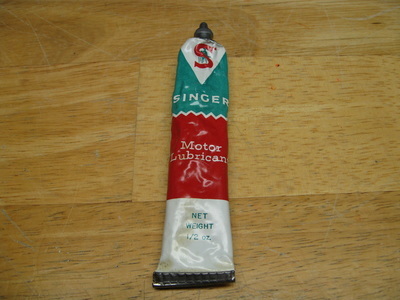 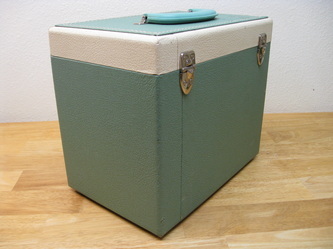 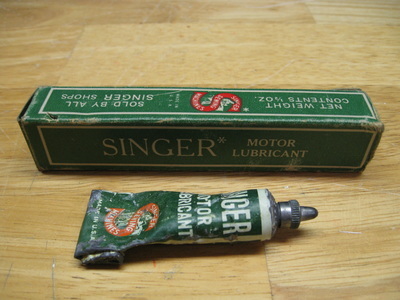 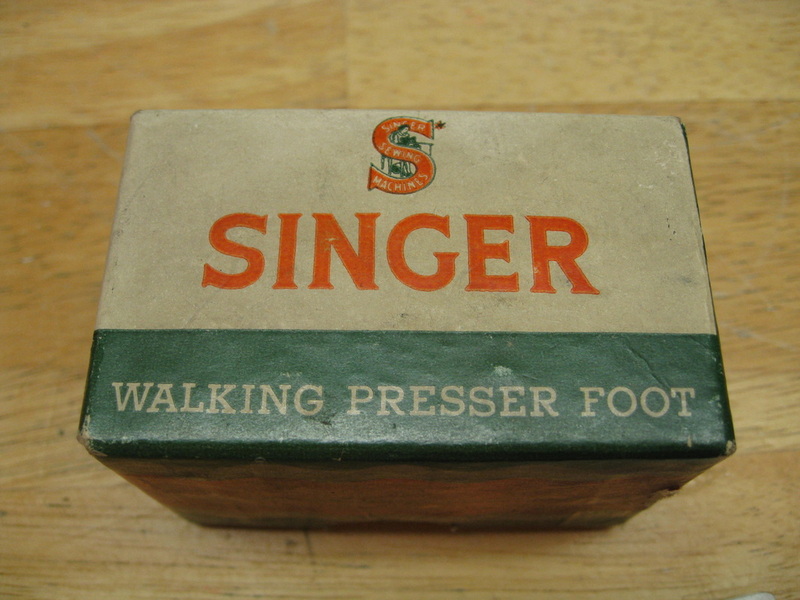 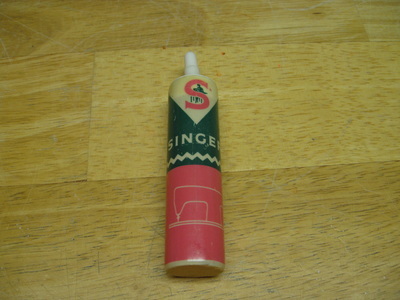 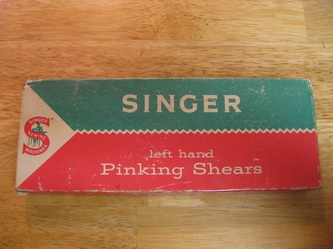 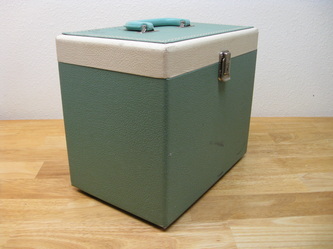 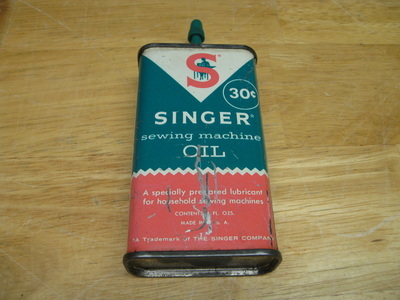 Teal box: Singer part # 489500. 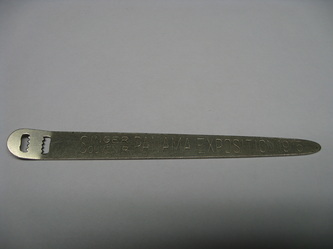 Low-shank vertical needle for white 221 Featherweight, 185, 328. 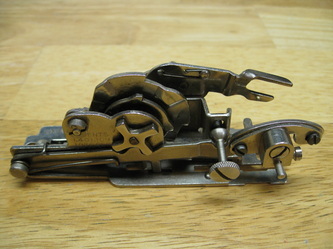 Metal-body, top-loading, for zig-zag sewing machines. 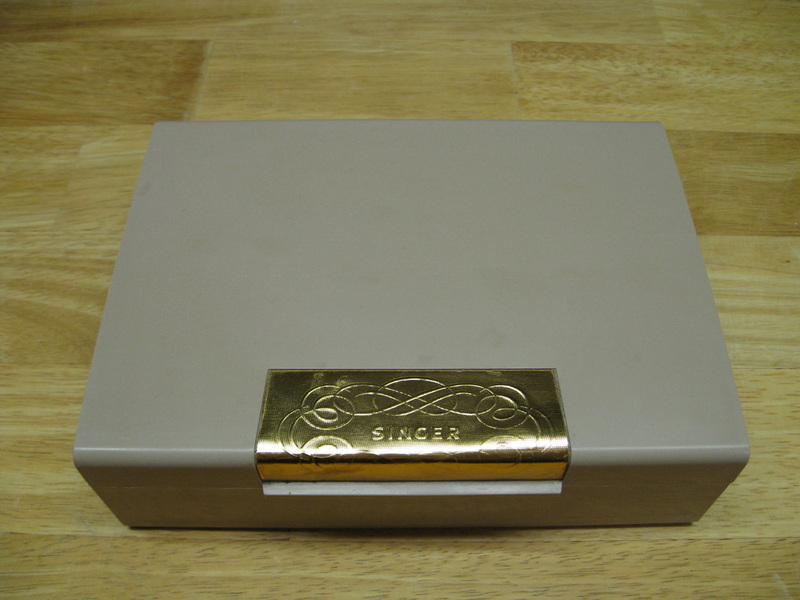 Straight, Keyhole, & Bound templates. Typically comes with Touch & Sew feed-dog cover plate. 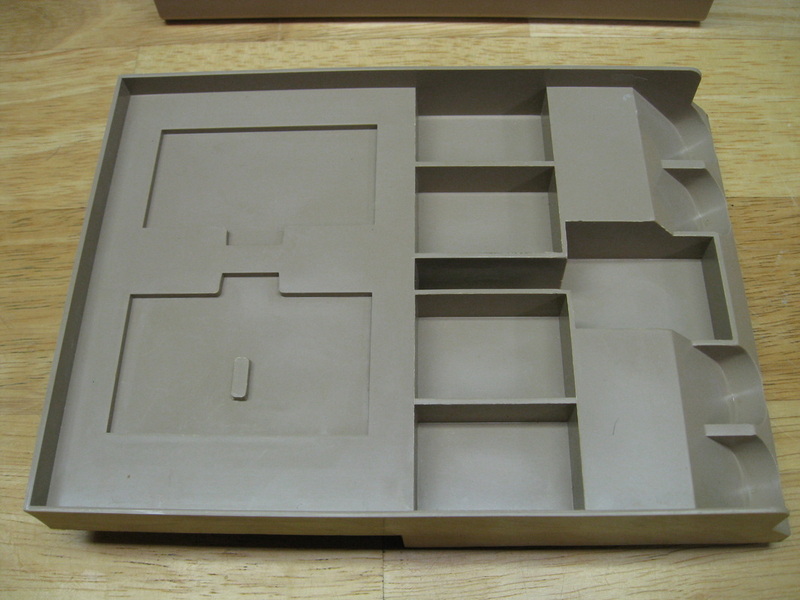 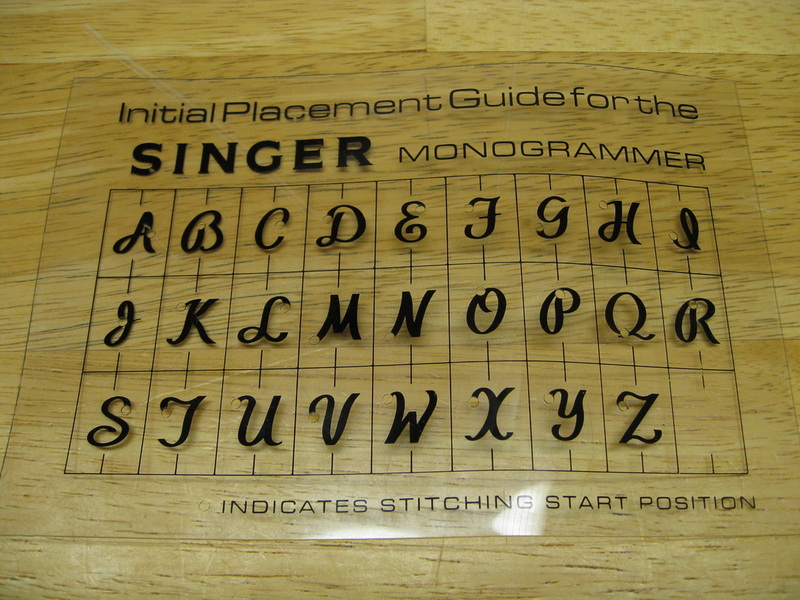 A flat cover plate will be needed for non-Touch & Sew models. 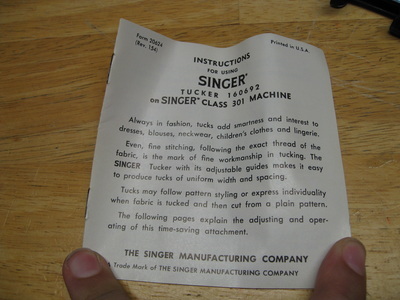 Appropriate for: Slant-o-Matics, Touch & Sew. 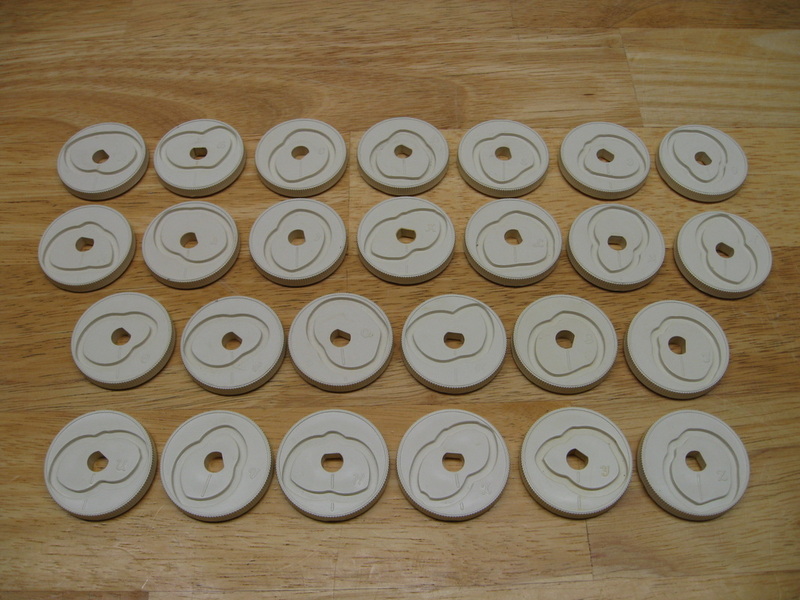 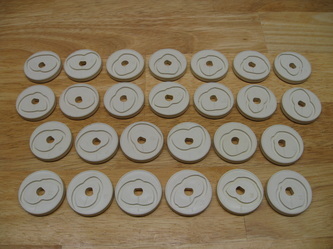 There is also a plastic-body version of the Professional Buttonholer. 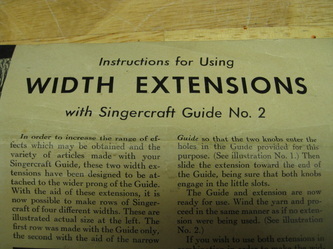 Manual dated 1973. 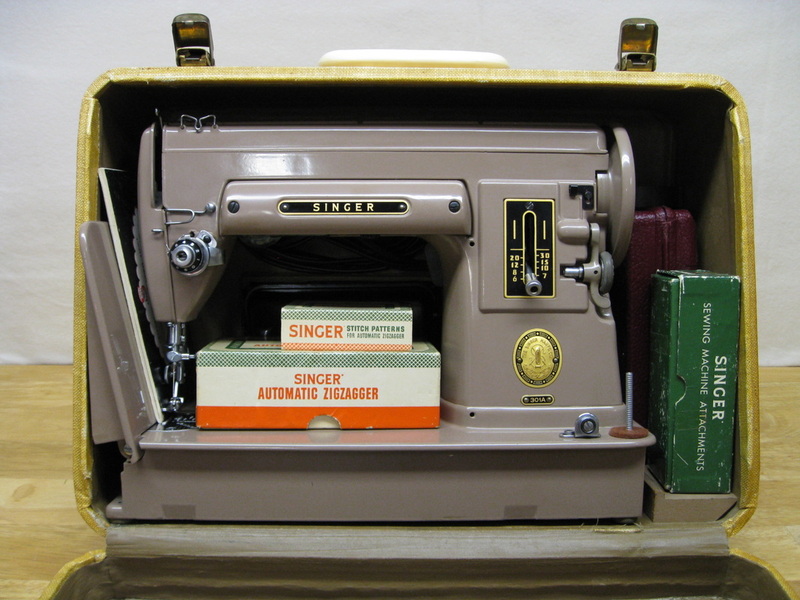 Often sold with 700 series Touch & Sew machines, but excellent for the 401, 500, 600 series machines when paired with the appropriate feed-dog cover plate. 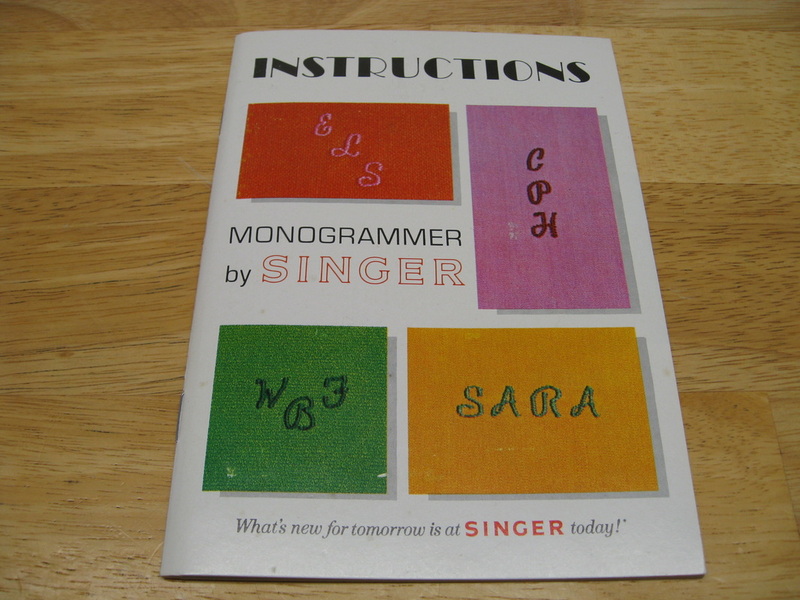 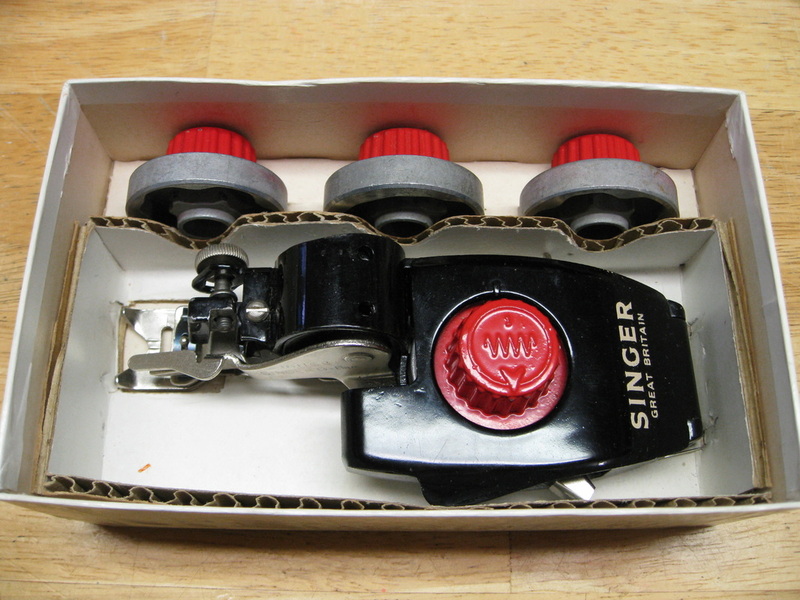 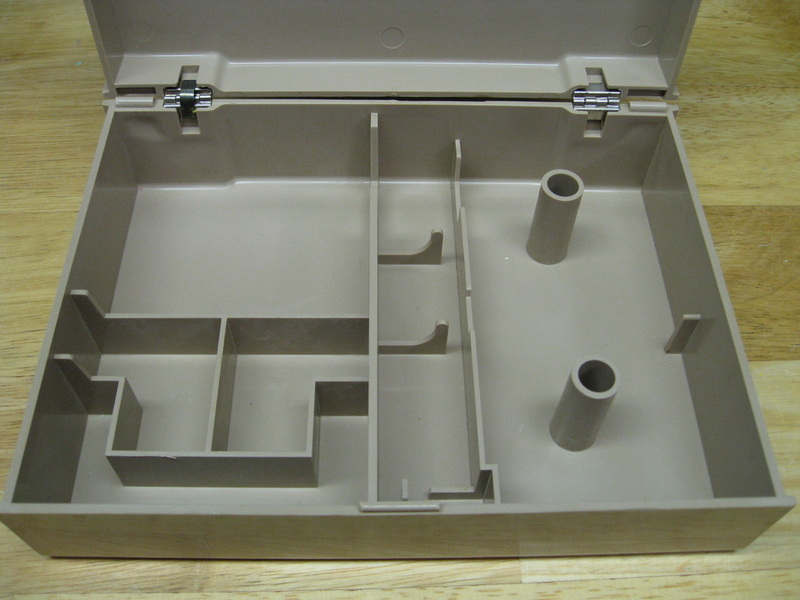 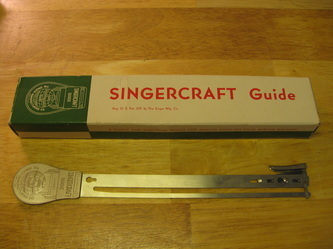 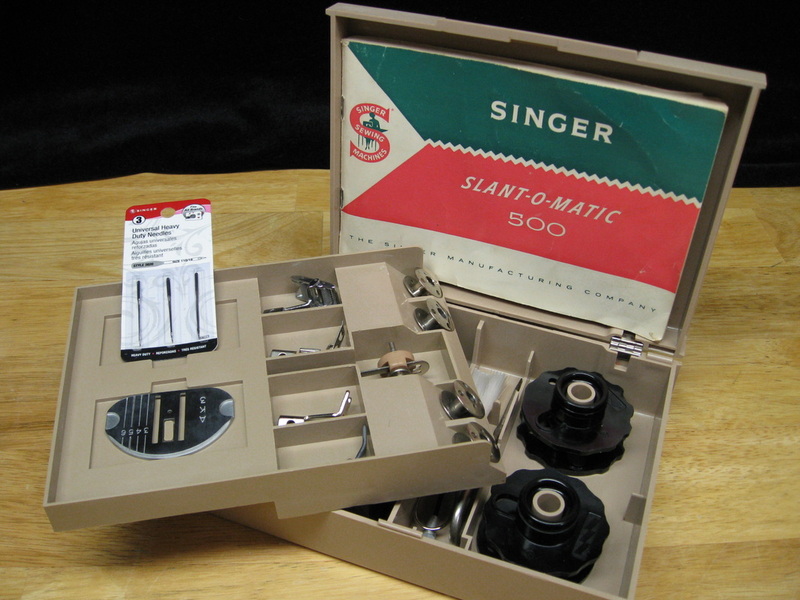 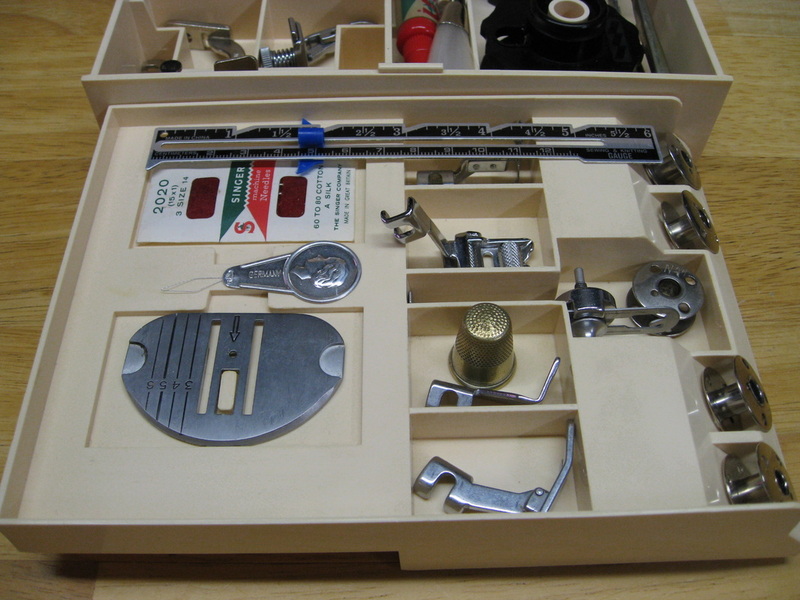 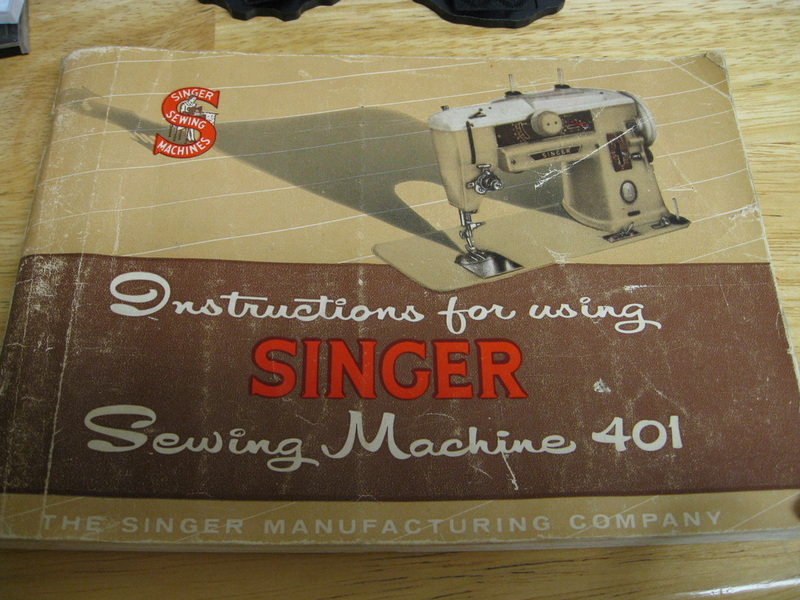 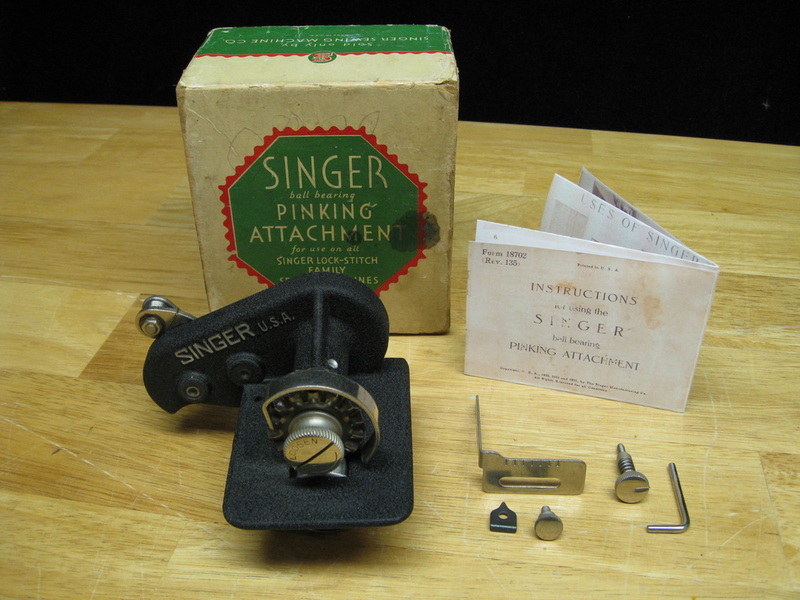 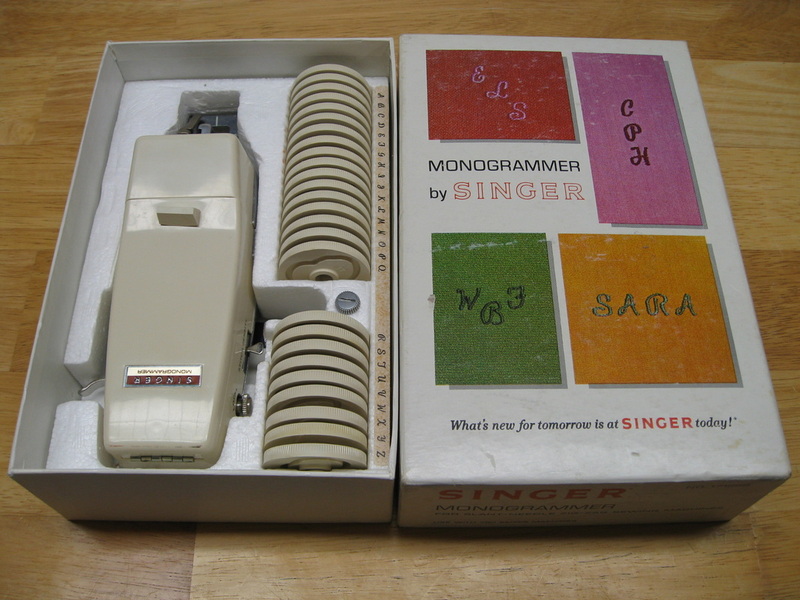 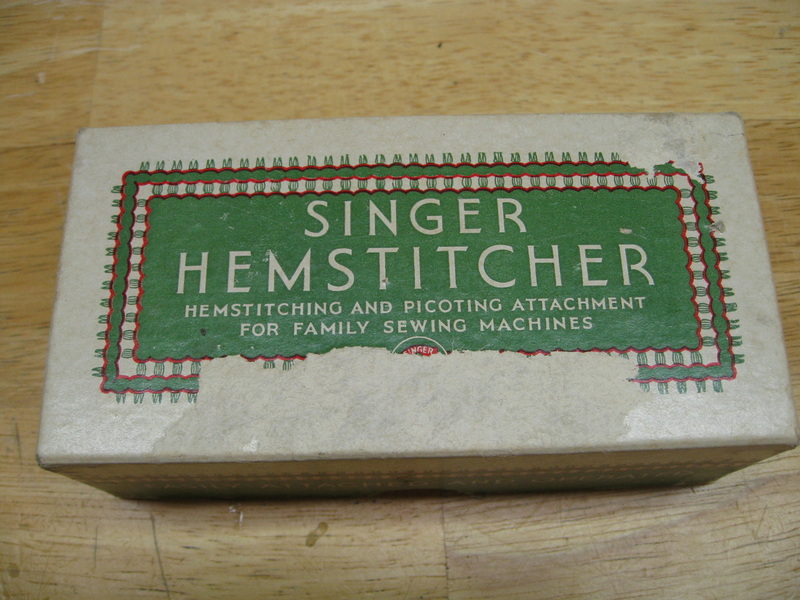 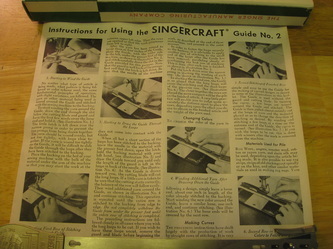 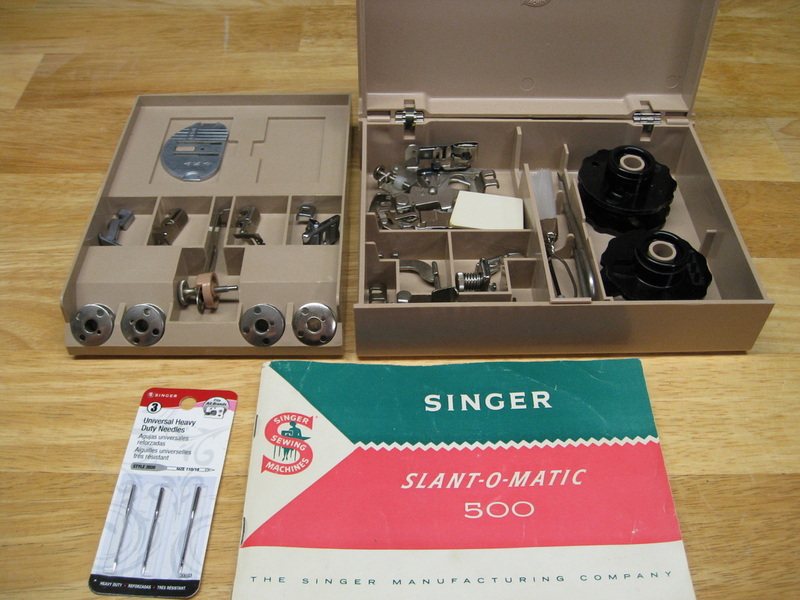 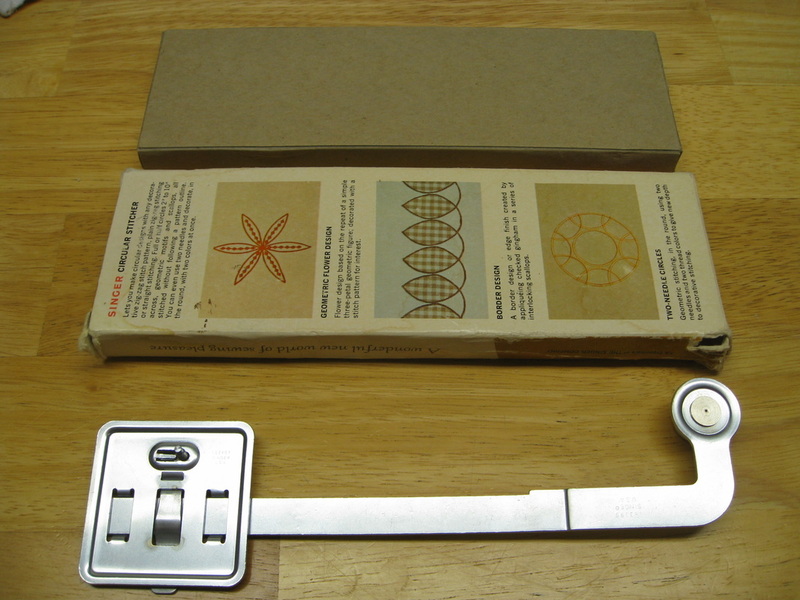 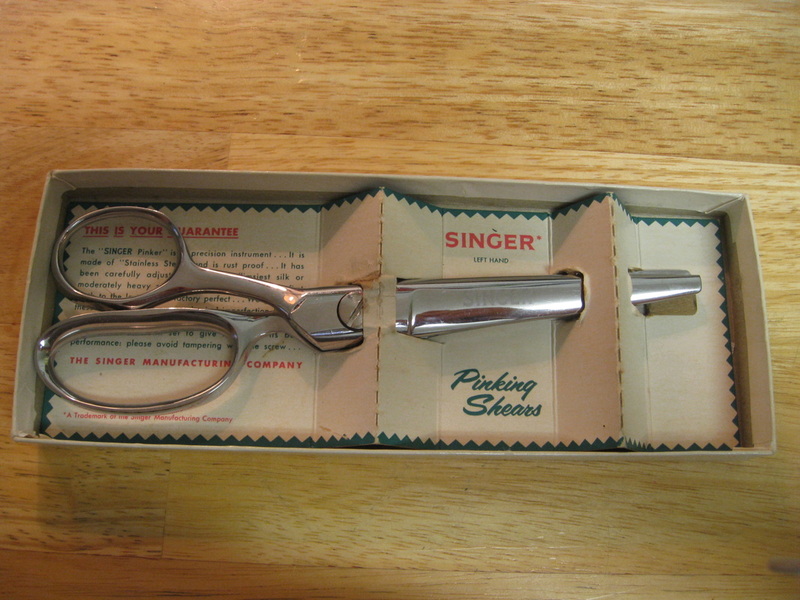 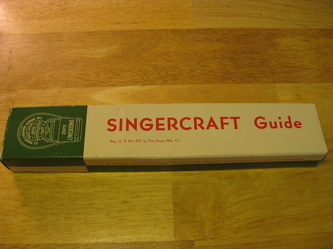 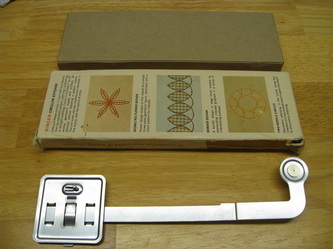 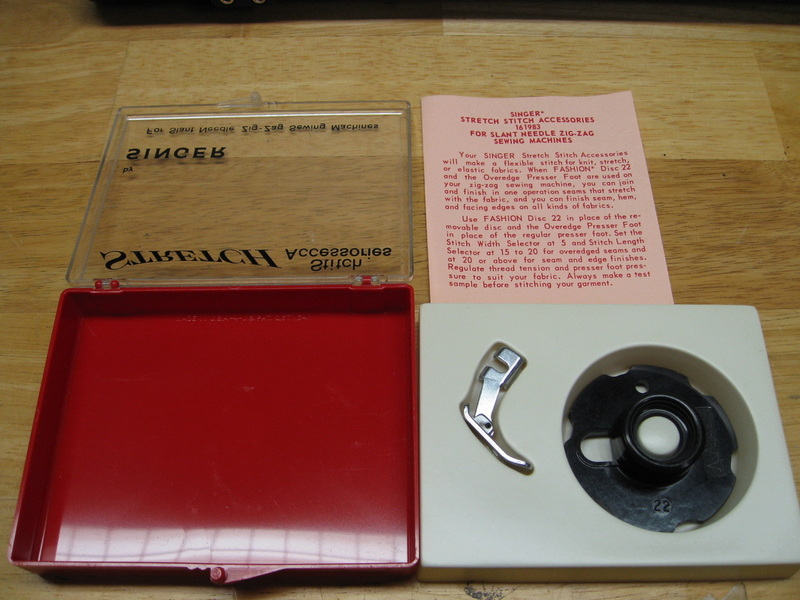 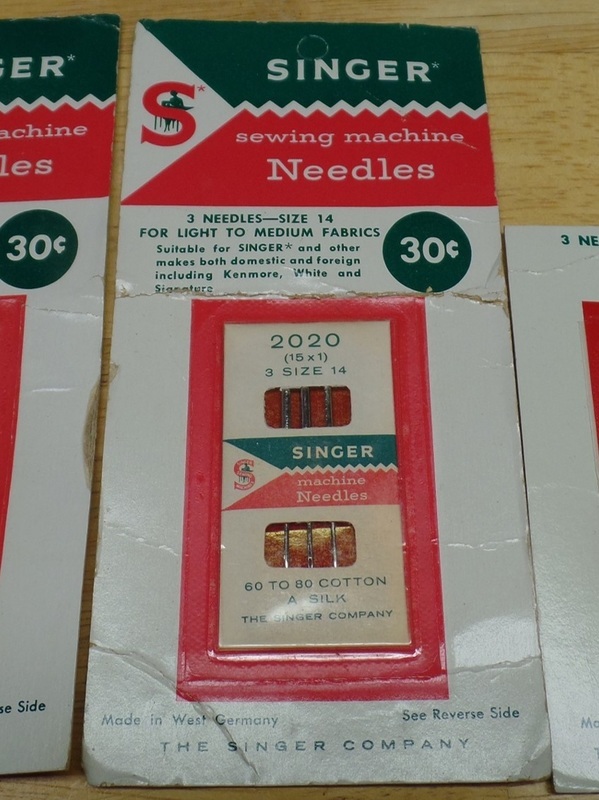 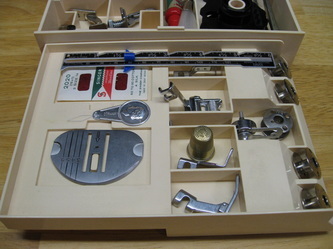 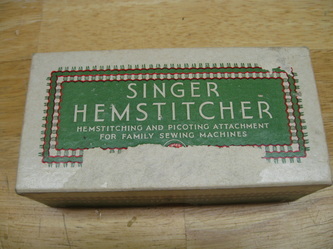 Singer offered boxed sets of four additional templates for the basic buttonholer. An eyelet template could be purchased separately. 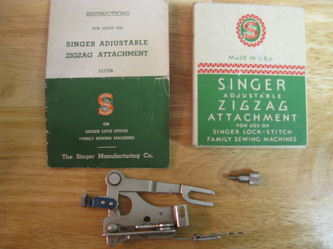 Slant needle monogrammer for zig-zag machines. 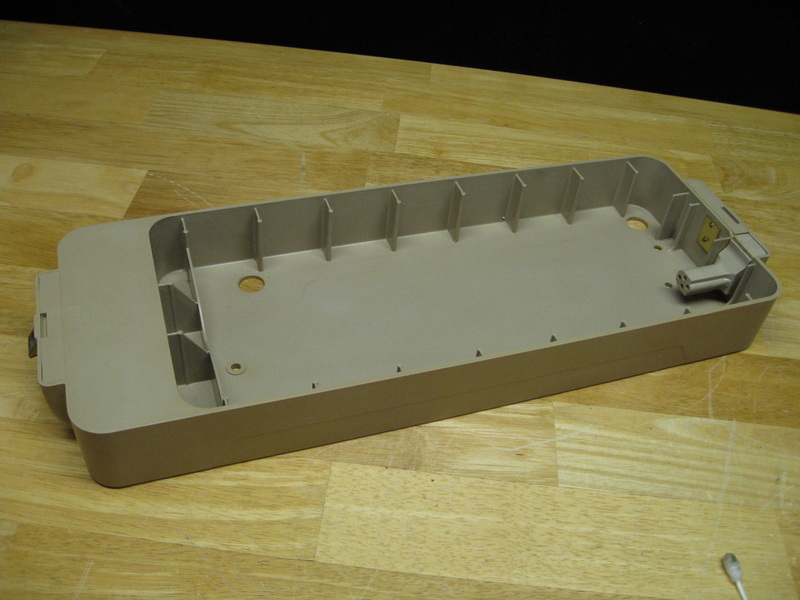 Feed-dog cover plate will vary by model. Each machine came equipped with a set of accessories & instruction manual. 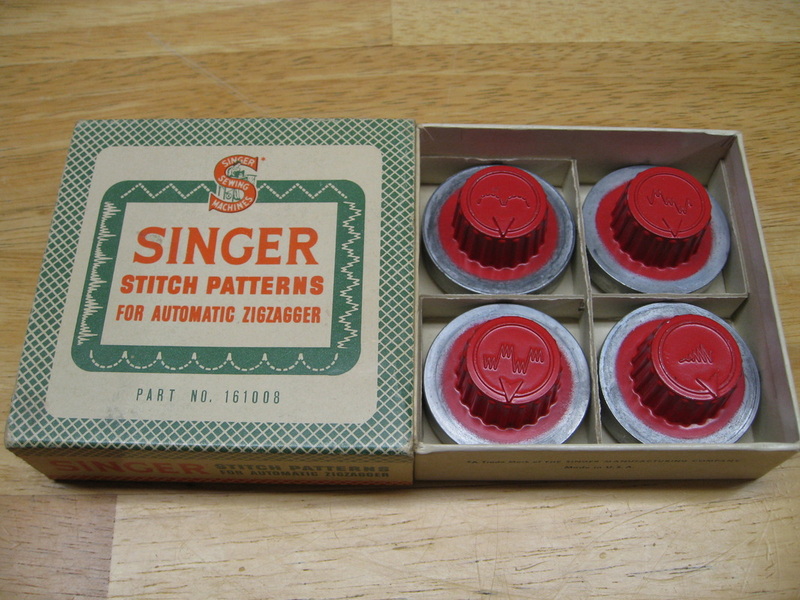 Here are some notable examples. 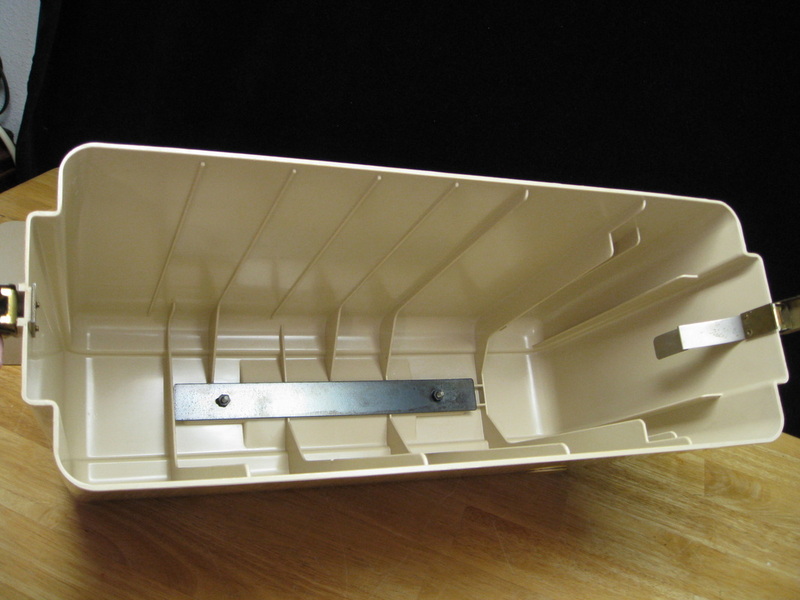 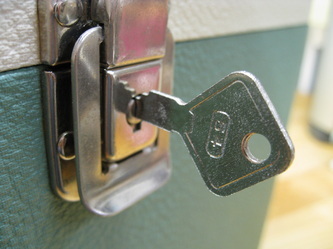 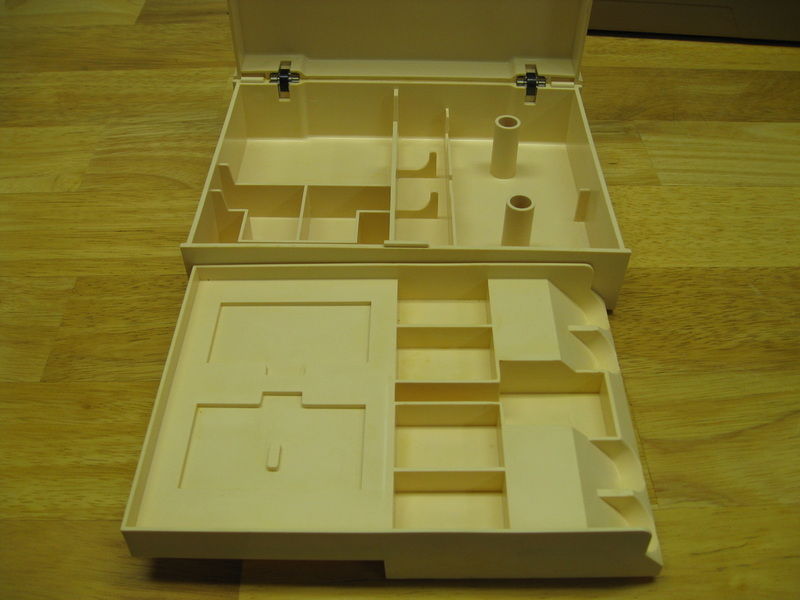 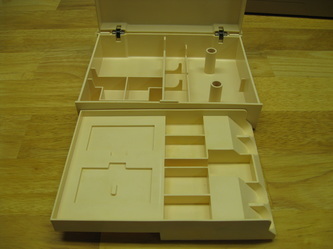 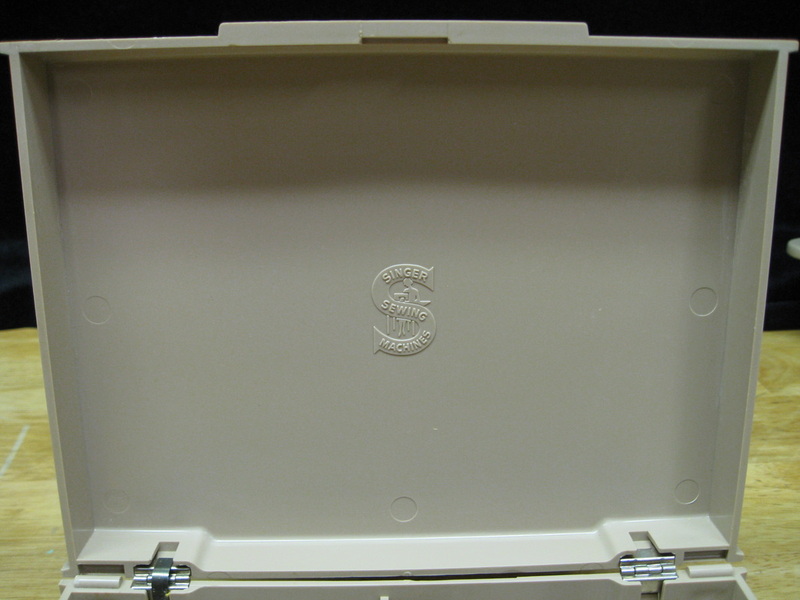 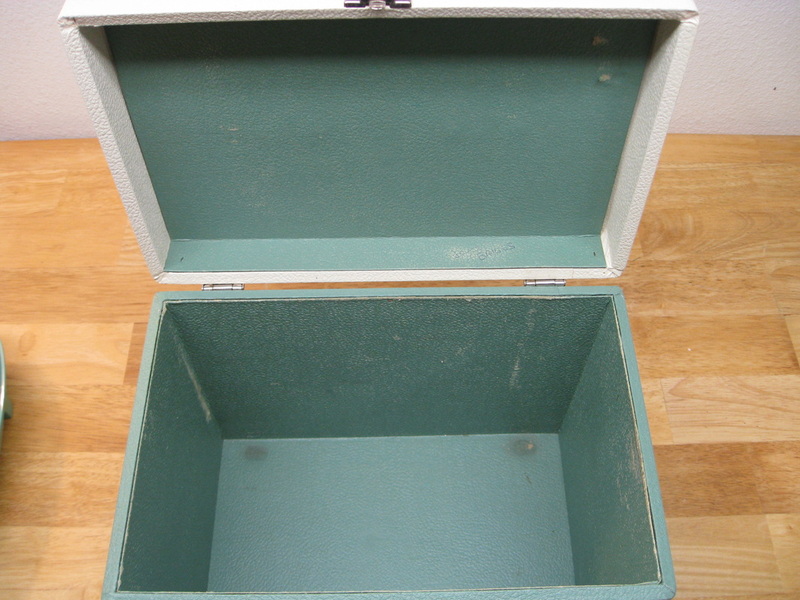 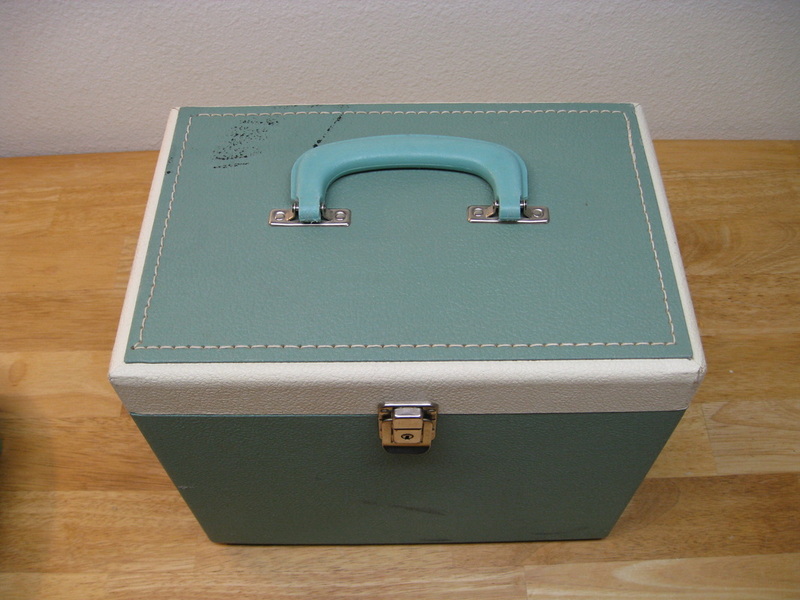 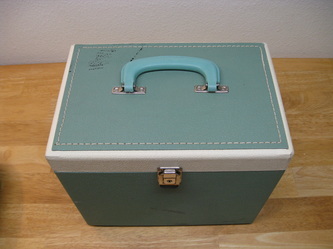 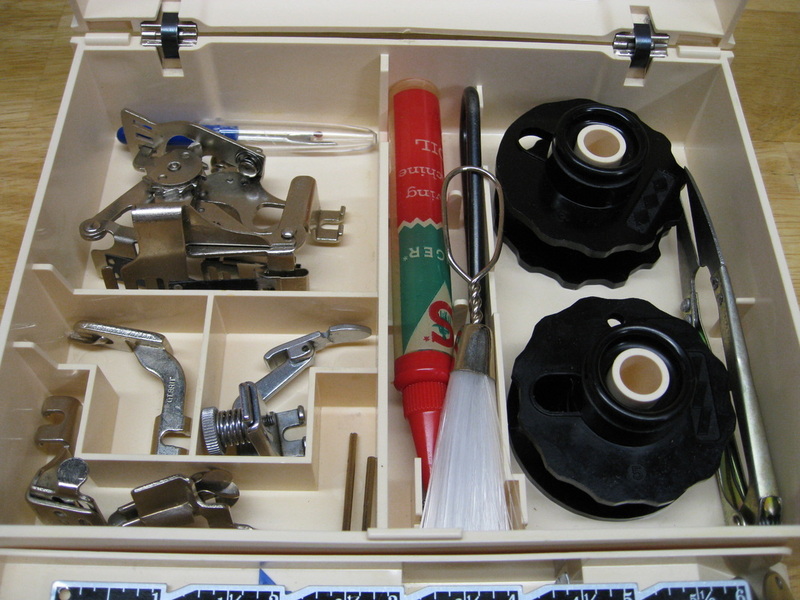 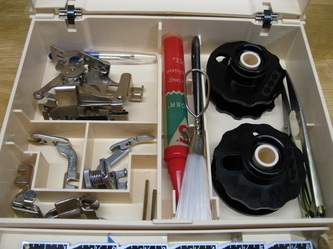 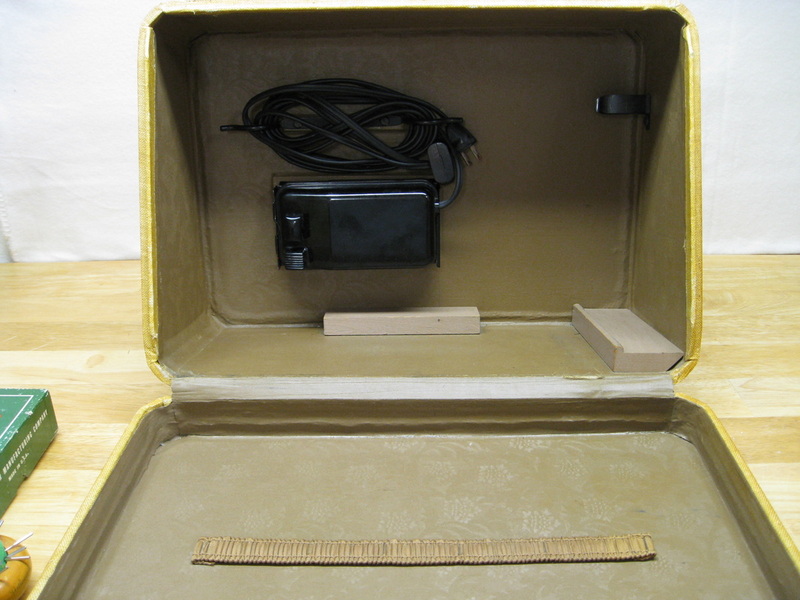 The top of the line 401A was equipped with a hard plastic case with insert tray. The machines came with 5 Special Discs, but box holds only 4 discs because the fifth disc was in the machine. 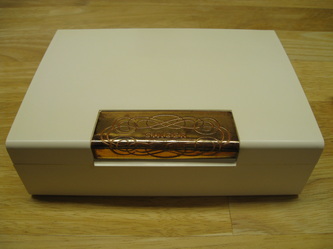 401A accessory boxes are typically cream in color while 500A accessory boxes are typically tan (mocha). 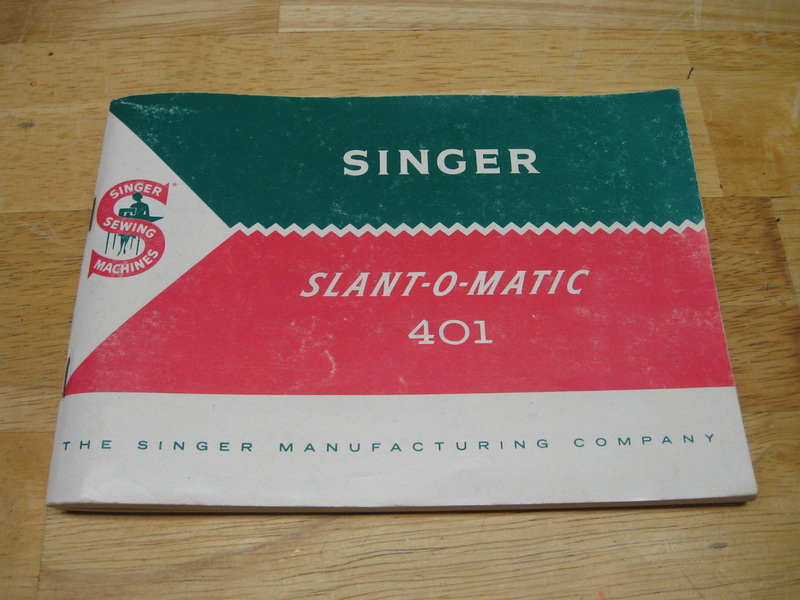 The 401 instruction manual dated 1957 has a tan cover; later manuals dated 1958 are red & green. 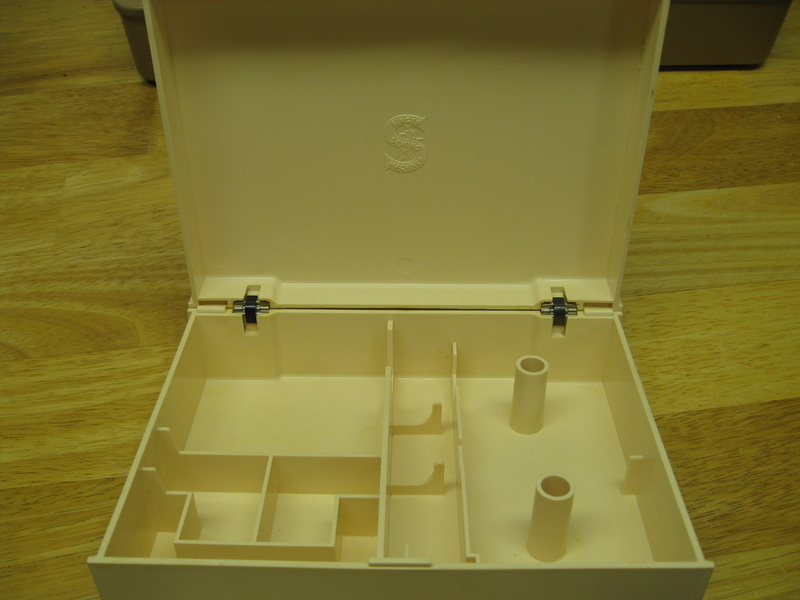 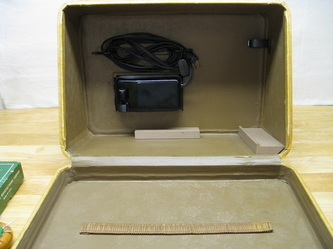 Deluxe hard plastic case identical to 401 but typically mocha-tan in color. 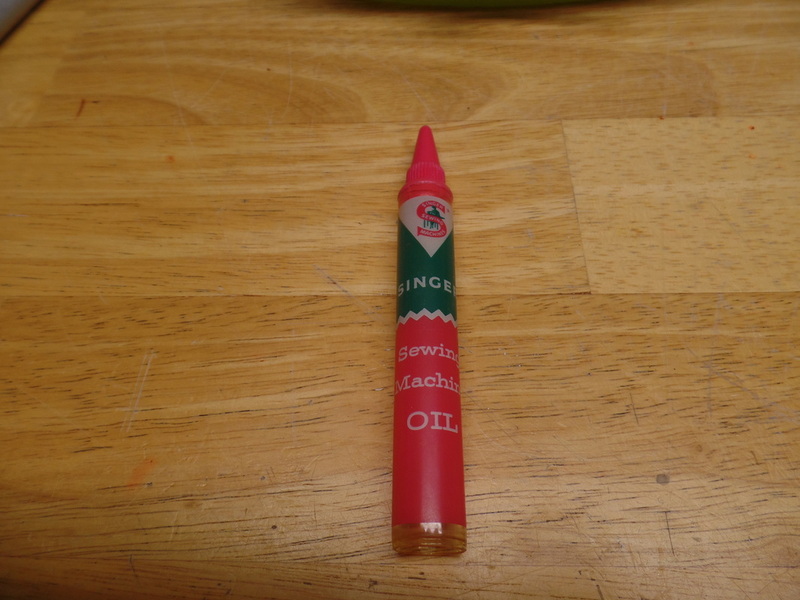 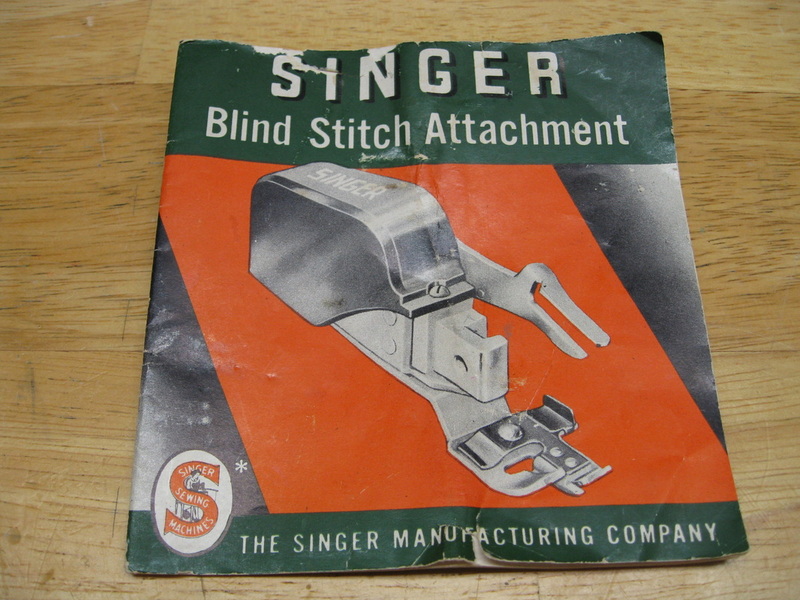 Standard red & green cover instruction manual. 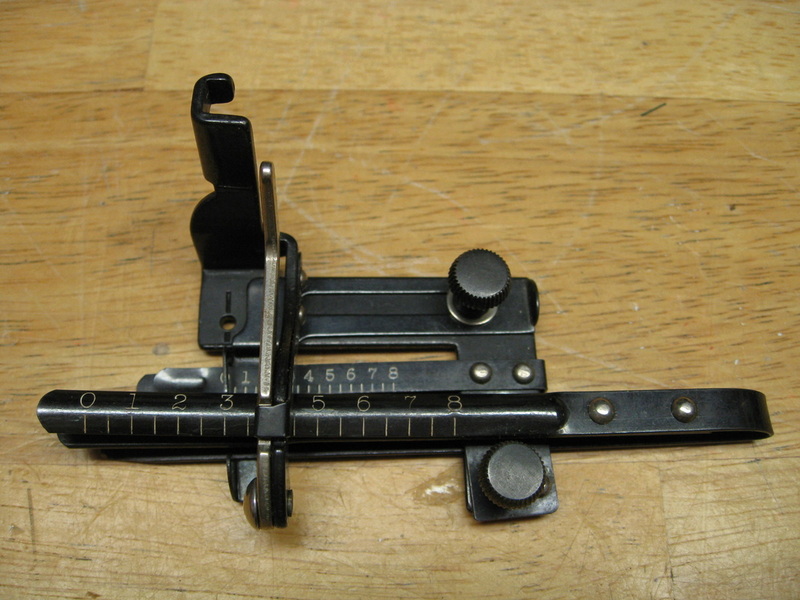 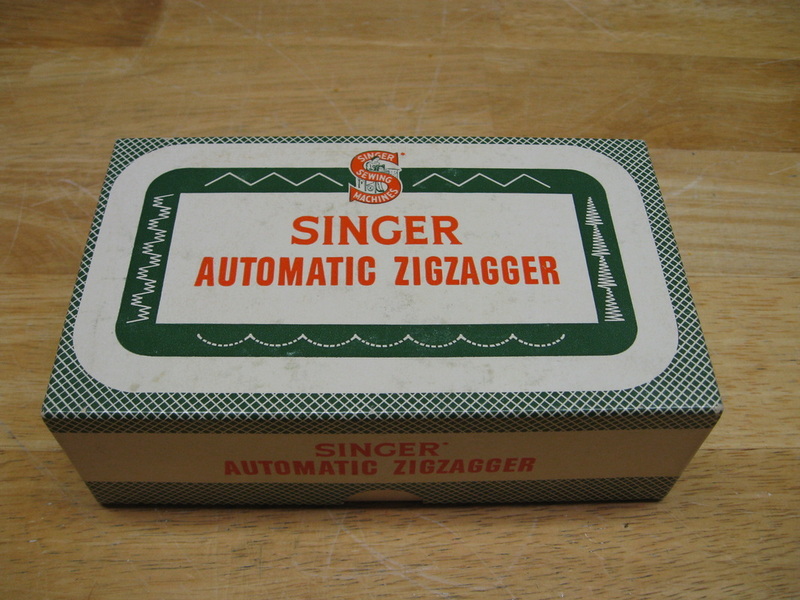 An early, no-frills zigzagger with adjustable width setting. 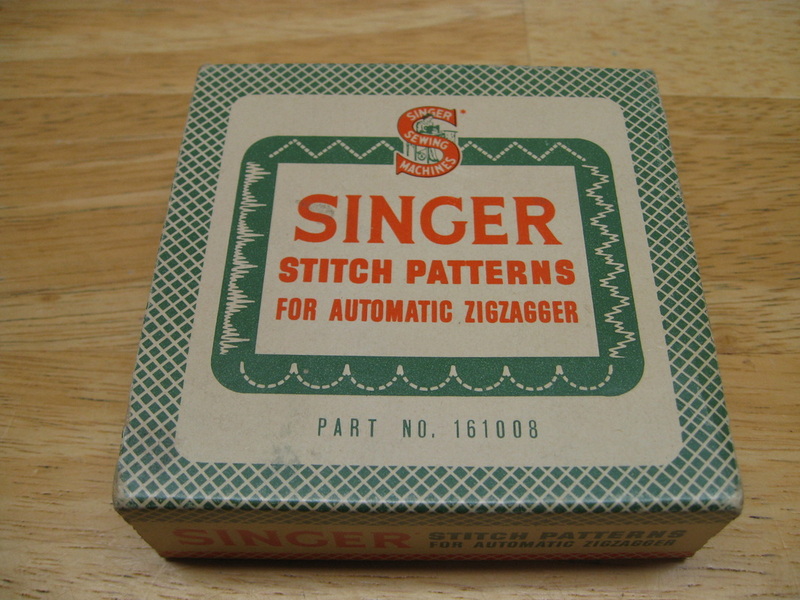 Moves fabric side-to-side to produce zigzag stitch. 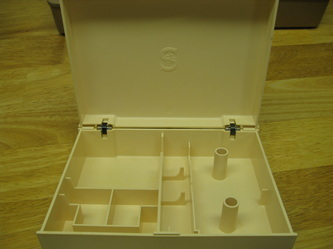 Box design appears to be from the late 1930's or early 1940's. Singer part # 121706. 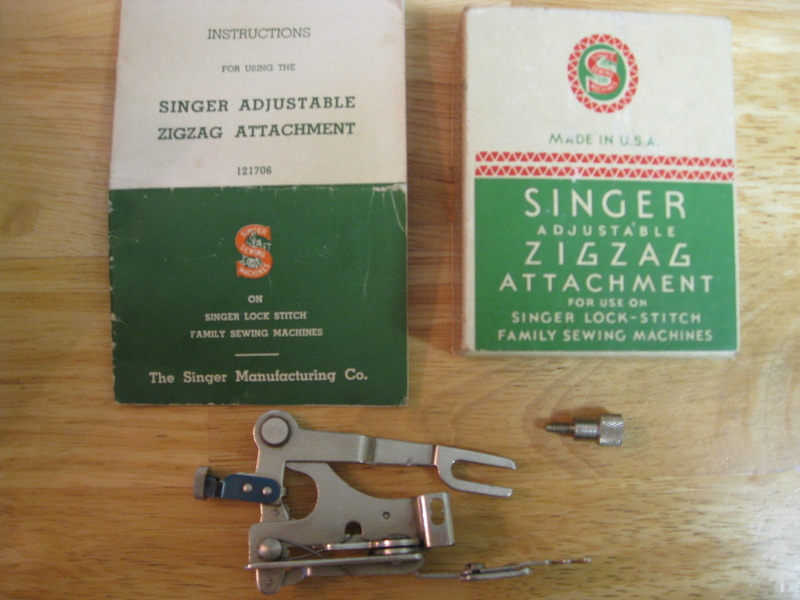 Zigzag attachment moves fabric side to side to produce zigzag stitch on a straight-stitch sewing machine. 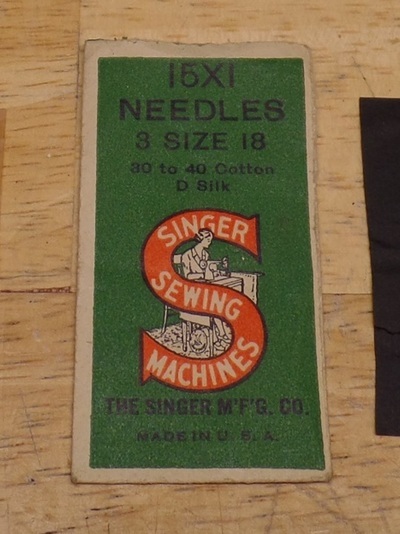 Appropriate for 15-91, 66, 99, 221, & 201 sewing machines. Singer part # 160620. 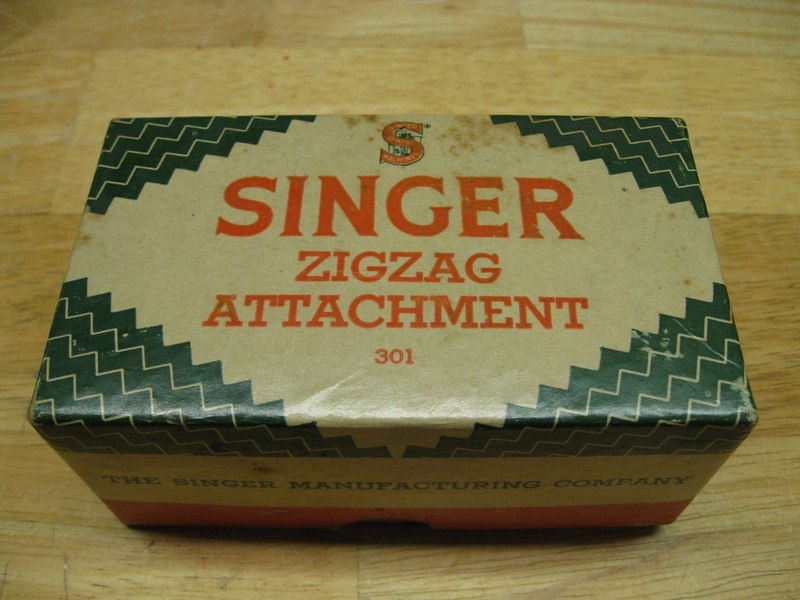 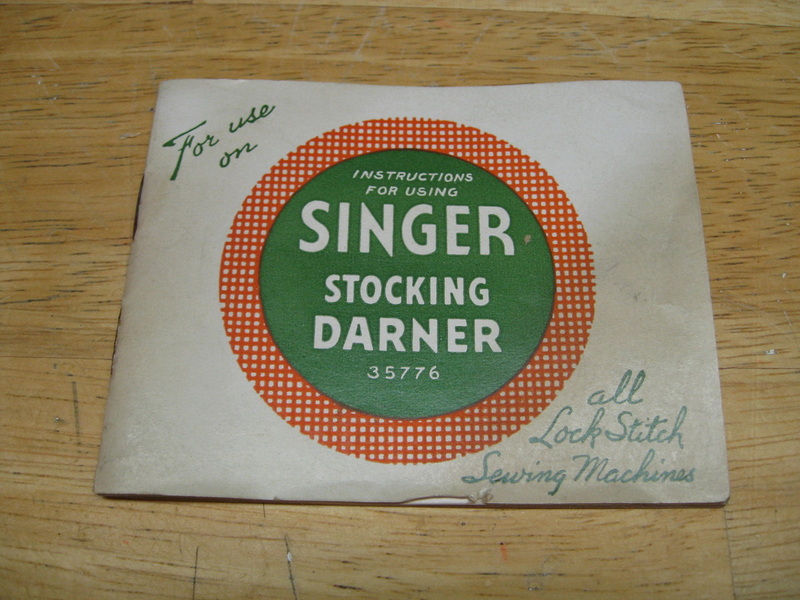 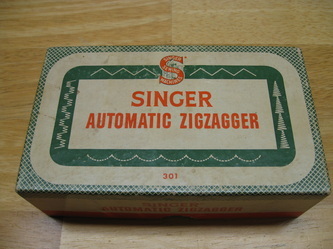 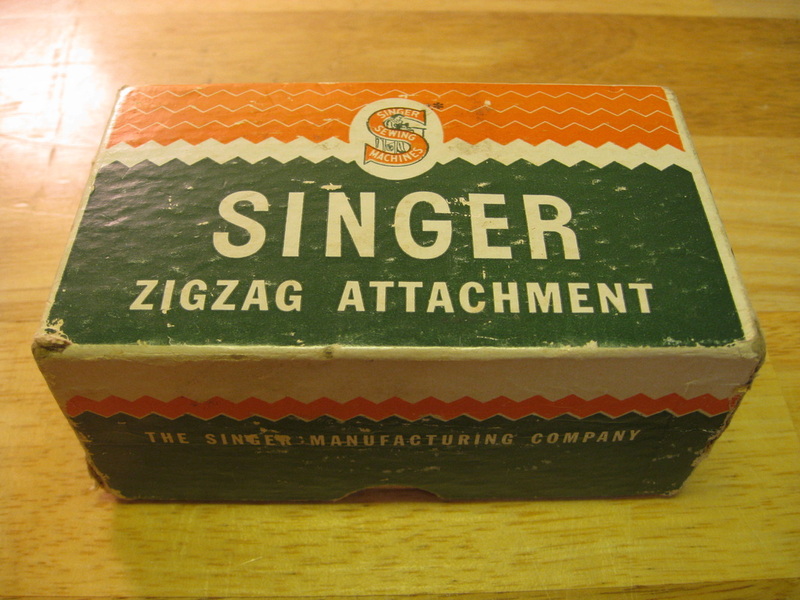 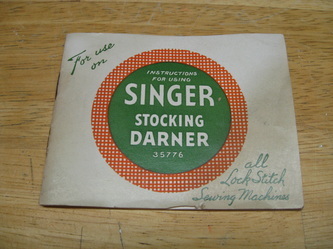 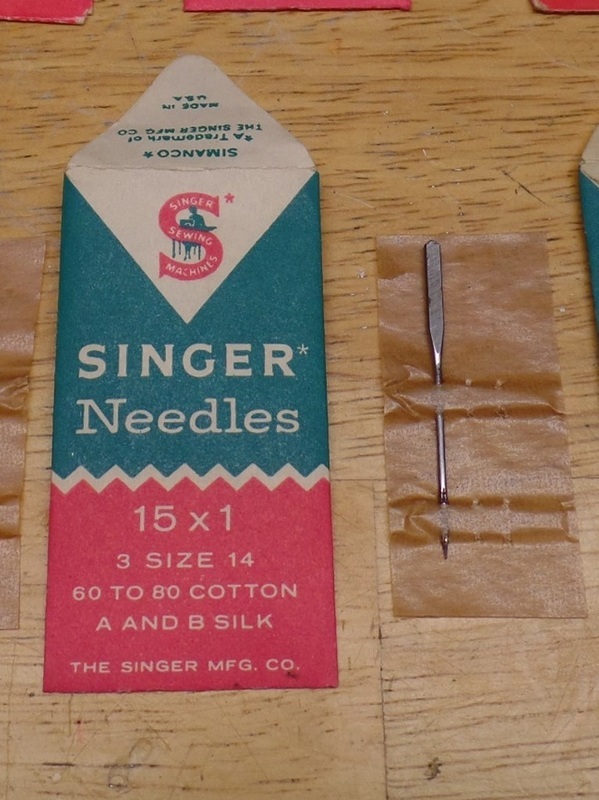 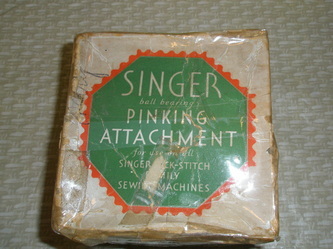 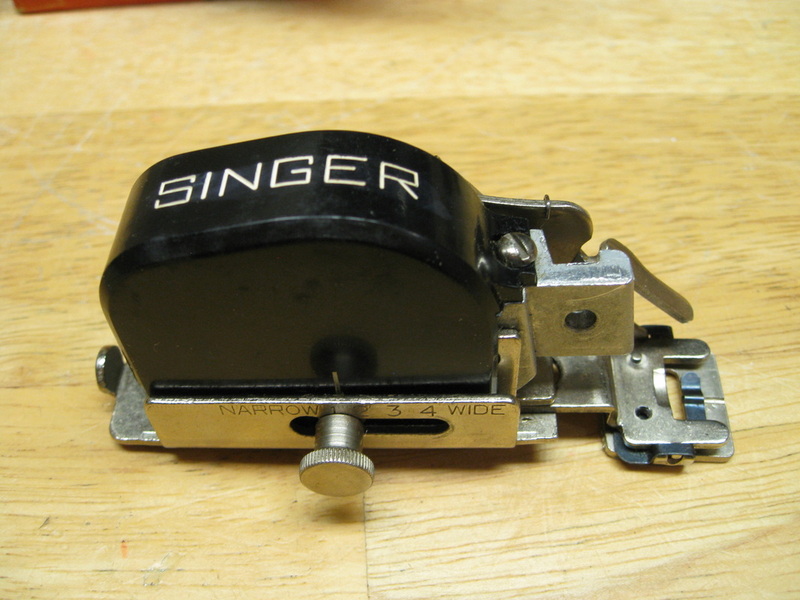 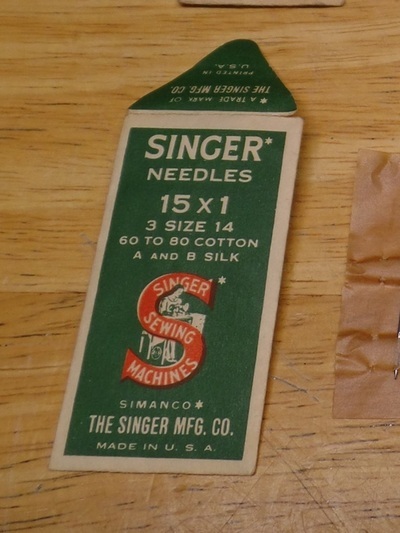 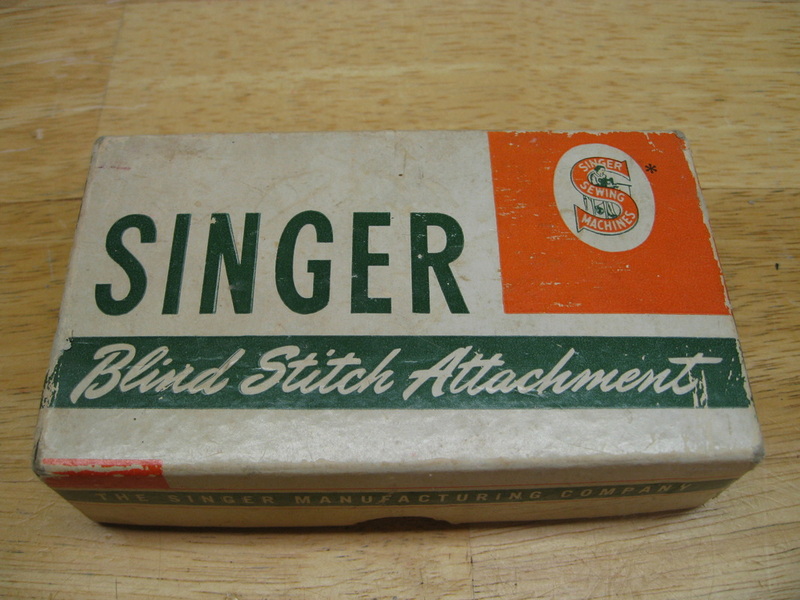 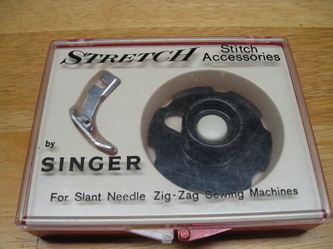 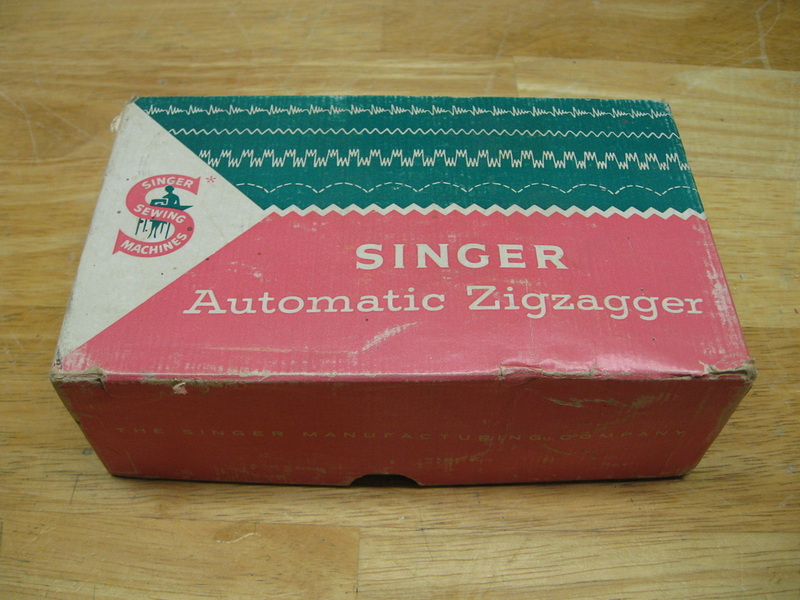 Slant needle version of Singer's basic zigzagger. Moves fabric side-to-side to produce zigzag lock stitch. 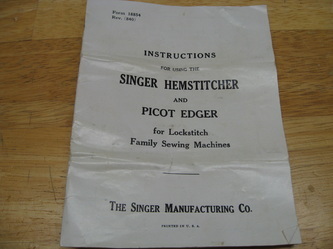 Instruction manual dated 1951-1952. Singer part # 160745. 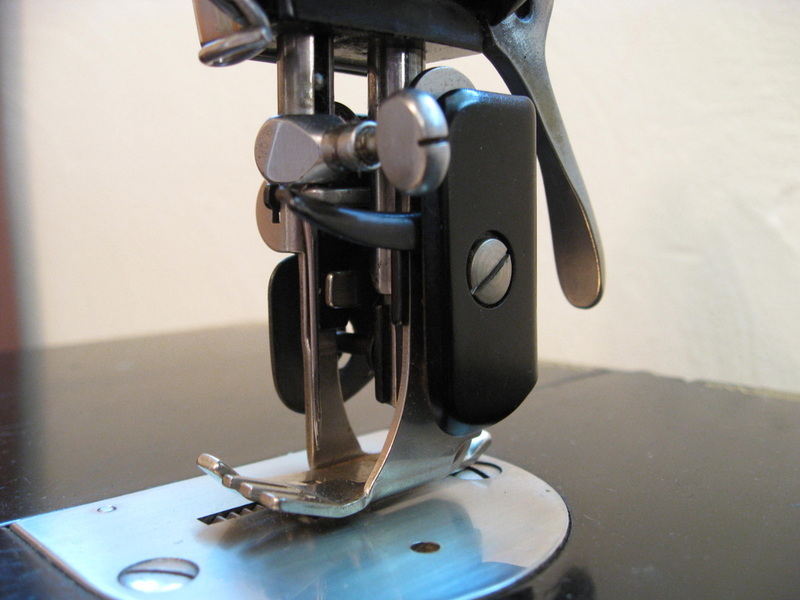 Zigzagging attachment for straight-stitch machines. 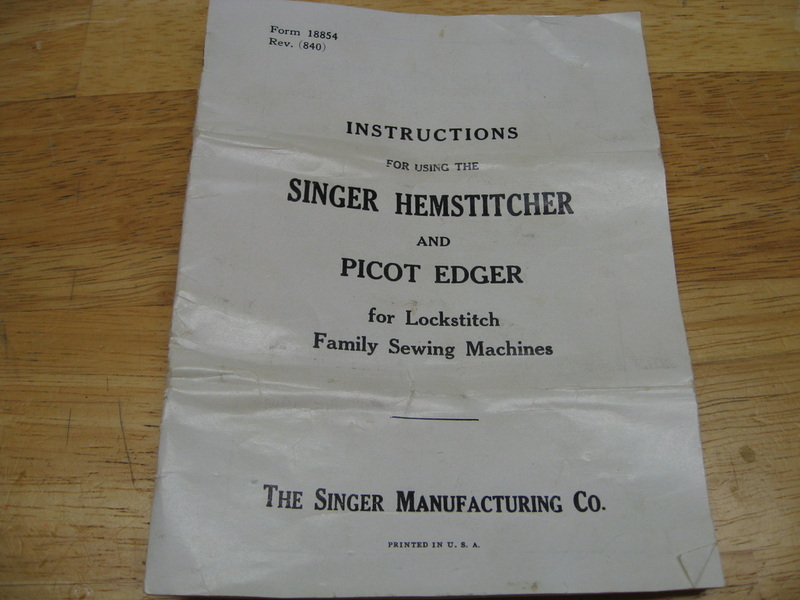 Attachment moves fabric from side to side to produce zigzag lockstitch. 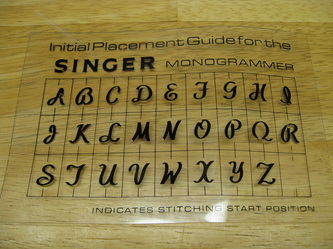 Top-loading interchangeable templates for additional patterns. 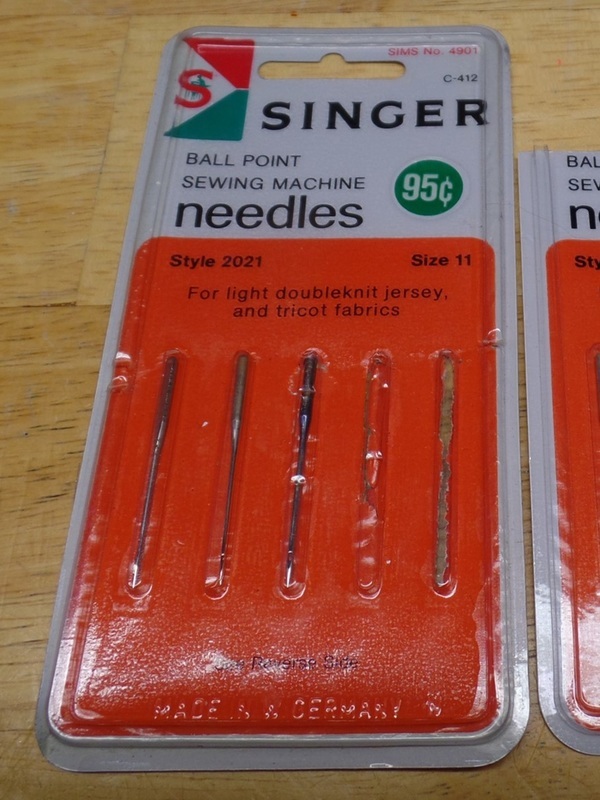 Vertical needle fits 15, 66, 99, 201, 221 Featherweight. 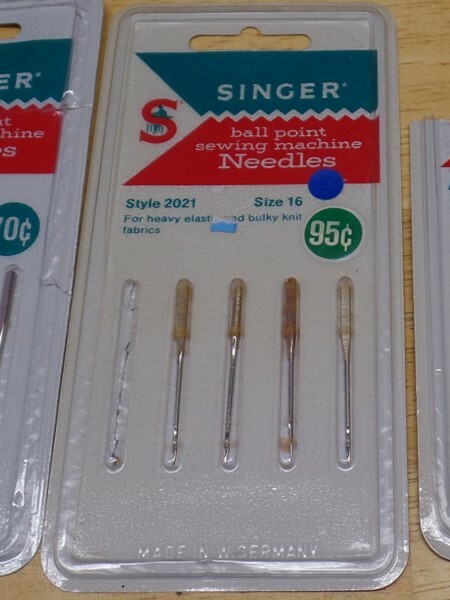 Slant needle variation fits 301, 404, 604. 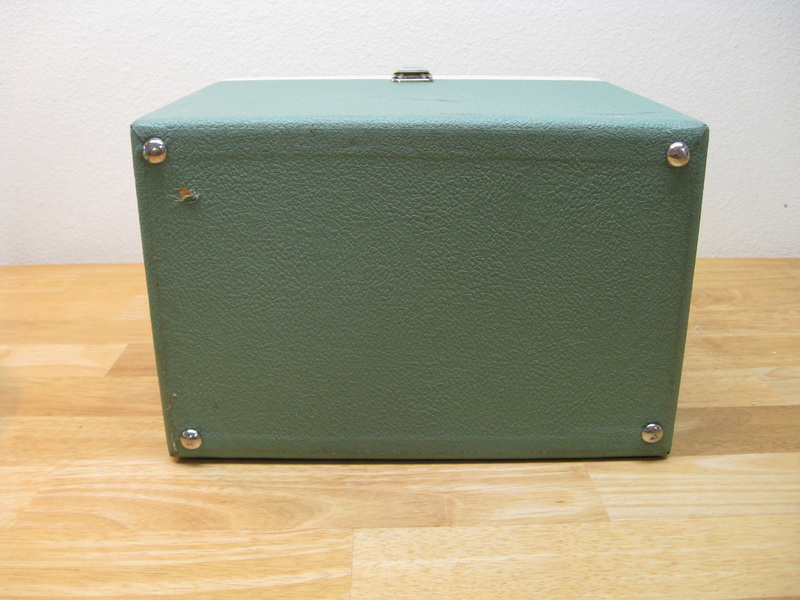 Box color and part number changed through the years. Additional templates for Automatic Zigzagger came in boxed sets of 4 templates. 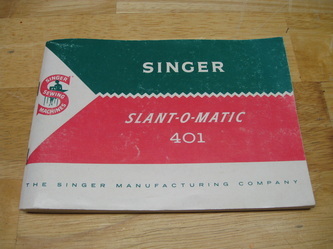 Templates were produced in red, yellow, blue, and off-white. Singer part # 161008. Part #160741. AKA "Penguin" due to its shape and "waddling" walk. 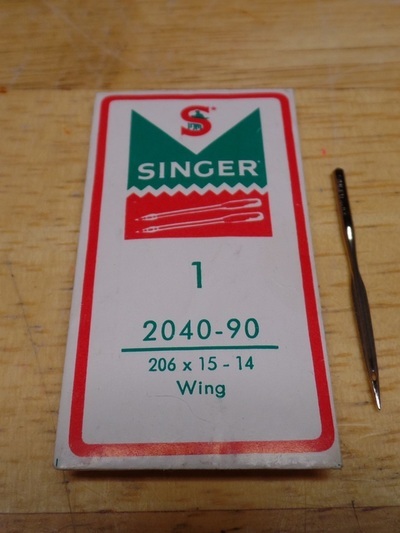 Very rare and highly prized by 221 and 222 Featherweight collectors. 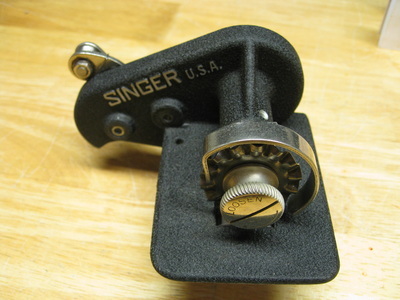 Singer Part #121111 - Gloss black or Crinkle (Godzilla) black finish. 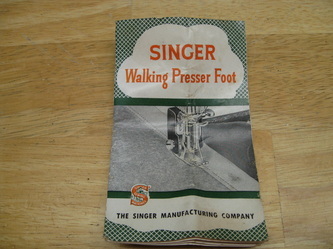 Singer Part #160616 for low-shank vertical needle machines (shown). Part #160742 for slant-needle machines. Singer Part #36583 for low-shank vertical needle machines. Part #160692 for slant-needle machines ​(shown). 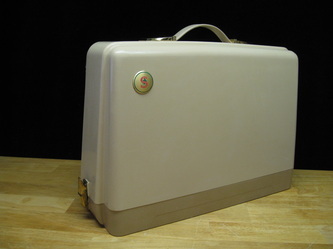 This case is for the later "white" featherweight. 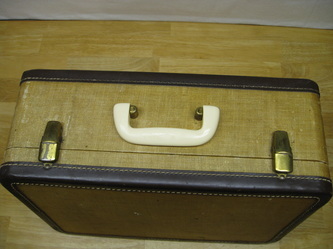 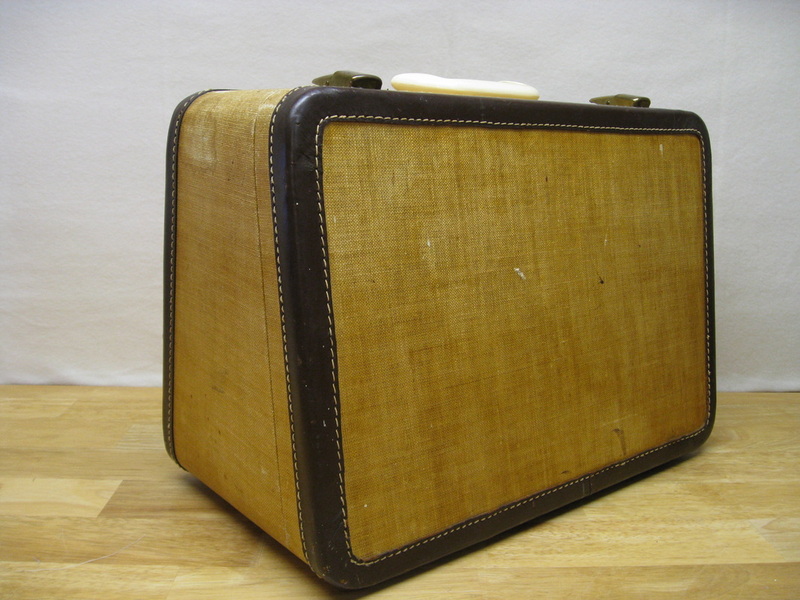 Earlier Featherweight cases were black.